Not to be confused with Emigration or Migration. "Immigrant" redirects here. For other uses, see Immigrant (disambiguation). Immigration is the international movement of people into a destination country of which they are not natives or where they do not possess citizenship in order to settle or reside there, especially as permanent residents or naturalized citizens, or to take up employment as a migrant worker or temporarily as a foreign worker. As for economic effects, research suggests that migration is beneficial both to the receiving and sending countries. Research, with few exceptions, finds that immigration on average has positive economic effects on the native population, but is mixed as to whether low-skilled immigration adversely affects low-skilled natives. Studies show that the elimination of barriers to migration would have profound effects on world GDP, with estimates of gains ranging between 67 and 147 percent. Development economists argue that reducing barriers to labor mobility between developing countries and developed countries would be one of the most efficient tools of poverty reduction. The academic literature provides mixed findings for the relationship between immigration and crime worldwide, but finds for the United States that immigration either has no impact on the crime rate or that it reduces the crime rate. Research shows that country of origin matters for speed and depth of immigrant assimilation, but that there is considerable assimilation overall for both first- and second-generation immigrants. Research has found extensive evidence of discrimination against foreign born and minority populations in criminal justice, business, the economy, housing, health care, media and politics in the United States and Europe. The term immigration was coined in the 17th century, referring to non-warlike population movements between the emerging nation states. When people cross national borders during their migration, they are called migrants or immigrants (from Latin: migrare, wanderer) from the perspective of the country which they enter. From the perspective of the country which they leave, they are called emigrant or outmigrant. Sociology designates immigration usually as migration (as well as emigration accordingly outward migration). The global population of immigrants has grown since 1990 but has remained constant at around 3% of the world's population. As of 2015[update], the number of international migrants has reached 244 million worldwide, which reflects a 41% increase since 2000. One third of the world's international migrants are living in just 20 countries. The largest number of international migrants live in the United States, with 19% of the world's total. Germany and Russia host 12 million migrants each, taking the second and third place in countries with the most migrants worldwide. Saudi Arabia hosts 10 million migrants, followed by the United Kingdom (9 million) and the United Arab Emirates (8 million). Between 2000 and 2015, Asia added more international migrants than any other major area in the world, gaining 26 million. Europe added the second largest with about 20 million. In most parts of the world, migration occurs between countries that are located within the same major area. In 2015, the number of international migrants below the age of 20 reached 37 million, while 177 million are between the ages of 20 and 64. International migrants living in Africa were the youngest, with a median age of 29, followed by Asia (35 years), and Latin America/Caribbean (36 years), while migrants were older in Northern America (42 years), Europe (43 years), and Oceania (44 years). Nearly half (43%) of all international migrants originate in Asia, and Europe was the birthplace of the second largest number of migrants (25%), followed by Latin America (15%). India has the largest diaspora in the world (16 million people), followed by Mexico (12 million) and Russia (11 million). A 2012 survey by Gallup found that given the opportunity, 640 million adults would migrate to another country, with 23% of these would-be immigrant choosing the United States as their desired future residence, while 7% of respondents, representing 45 million people, would choose the United Kingdom. The other top desired destination countries (those where an estimated 69 million or more adults would like to go) were Canada, France, Saudi Arabia, Australia, Germany and Spain. The largest Vietnamese market in Prague, also known as "Little Hanoi". In 2009, there were about 70,000 Vietnamese in the Czech Republic. London has become multiethnic as a result of immigration. In London in 2008, Black British and British Asian children outnumbered white British children by about 3 to 2 in government-run schools. One theory of immigration distinguishes between push and pull factors. Push factors refer primarily to the motive for immigration from the country of origin. In the case of economic migration (usually labor migration), differentials in wage rates are common. If the value of wages in the new country surpasses the value of wages in one's native country, he or she may choose to migrate, as long as the costs are not too high. Particularly in the 19th century, economic expansion of the US increased immigrant flow, and nearly 15% of the population was foreign born, thus making up a significant amount of the labor force. As transportation technology improved, travel time and costs decreased dramatically between the 18th and early 20th century. Travel across the Atlantic used to take up to 5 weeks in the 18th century, but around the time of the 20th century it took a mere 8 days. When the opportunity cost is lower, the immigration rates tend to be higher. Escape from poverty (personal or for relatives staying behind) is a traditional push factor, and the availability of jobs is the related pull factor. Natural disasters can amplify poverty-driven migration flows. Research shows that for middle-income countries, higher temperatures increase emigration rates to urban areas and to other countries. For low-income countries, higher temperatures reduce emigration. Emigration and immigration are sometimes mandatory in a contract of employment: religious missionaries and employees of transnational corporations, international non-governmental organizations, and the diplomatic service expect, by definition, to work "overseas". They are often referred to as "expatriates", and their conditions of employment are typically equal to or better than those applying in the host country (for similar work). Non-economic push factors include persecution (religious and otherwise), frequent abuse, bullying, oppression, ethnic cleansing, genocide, risks to civilians during war, and social marginalization. Political motives traditionally motivate refugee flows; for instance, people may emigrate in order to escape a dictatorship. Some migration is for personal reasons, based on a relationship (e.g. to be with family or a partner), such as in family reunification or transnational marriage (especially in the instance of a gender imbalance). Recent research has found gender, age, and cross-cultural differences in the ownership of the idea to immigrate. In a few cases, an individual may wish to immigrate to a new country in a form of transferred patriotism. Evasion of criminal justice (e.g., avoiding arrest) is a personal motivation. This type of emigration and immigration is not normally legal, if a crime is internationally recognized, although criminals may disguise their identities or find other loopholes to evade detection. For example, there have been reports of war criminals disguising themselves as victims of war or conflict and then pursuing asylum in a different country. Barriers to immigration come not only in legal form or political form; natural and social barriers to immigration can also be very powerful. Immigrants when leaving their country also leave everything familiar: their family, friends, support network, and culture. They also need to liquidate their assets, and they incur the expense of moving. When they arrive in a new country, this is often with many uncertainties including finding work, where to live, new laws, new cultural norms, language or accent issues, possible racism, and other exclusionary behavior towards them and their family. The politics of immigration have become increasingly associated with other issues, such as national security and terrorism, especially in western Europe, with the presence of Islam as a new major religion. Those with security concerns cite the 2005 French riots and point to the Jyllands-Posten Muhammad cartoons controversy as examples of the value conflicts arising from immigration of Muslims in Western Europe. Because of all these associations, immigration has become an emotional political issue in many European nations. Studies have suggested that some special interest groups lobby for less immigration for their own group and more immigration for other groups since they see effects of immigration, such as increased labor competition, as detrimental when affecting their own group but beneficial when impacting other groups. A 2010 European study suggested that "employers are more likely to be pro-immigration than employees, provided that immigrants are thought to compete with employees who are already in the country. Or else, when immigrants are thought to compete with employers rather than employees, employers are more likely to be anti-immigration than employees." A 2011 study examining the voting of US representatives on migration policy suggests that "representatives from more skilled labor abundant districts are more likely to support an open immigration policy towards the unskilled, whereas the opposite is true for representatives from more unskilled labor abundant districts." Another contributing factor may be lobbying by earlier immigrants. The Chairman for the US Irish Lobby for Immigration Reform—which lobby for more permissive rules for immigrants, as well as special arrangements just for Irish people—has stated that "the Irish Lobby will push for any special arrangement it can get—'as will every other ethnic group in the country.'" The Indo-Bangladeshi barrier in 2007. India is building a separation barrier along the 4,000 kilometer border with Bangladesh to prevent illegal immigration. The term economic migrant refers to someone who has travelled from one region to another region for the purposes of seeking employment and an improvement in quality of life and access to resources. An economic migrant is distinct from someone who is a refugee fleeing persecution. Many countries have immigration and visa restrictions that prohibit a person entering the country for the purposes of gaining work without a valid work visa. As a violation of a State's immigration laws a person who is declared to be an economic migrant can be refused entry into a country. The World Bank estimates that remittances totaled $420 billion in 2009, of which $317 billion went to developing countries. Entry (top) and Exit (above) passport stamps issued to a citizen of Germany by Indian immigration authorities at New Delhi airport. Treatment of migrants in host countries, both by governments, employers, and original population, is a topic of continual debate and criticism, and the violation of migrant human rights is an ongoing crisis. The United Nations Convention on the Protection of the Rights of All Migrant Workers and Members of Their Families, has been ratified by 48 states, most of which are heavy exporters of cheap labor. Major migrant-receiving countries and regions – including Western Europe, North America, Pacific Asia, Australia, and the Gulf States – have not ratified the Convention, even though they are host to the majority of international migrant workers. Although freedom of movement is often recognized as a civil right in many documents such as the Universal Declaration of Human Rights (1948) and the International Covenant on Civil and Political Rights (1966), the freedom only applies to movement within national borders and the ability to return to one's home state. Some proponents of immigration argue that the freedom of movement both within and between countries is a basic human right, and that the restrictive immigration policies, typical of nation-states, violate this human right of freedom of movement. Such arguments are common among anti-state ideologies like anarchism and libertarianism. As philosopher and Open borders activist Jacob Appel has written, "Treating human beings differently, simply because they were born on the opposite side of a national boundary, is hard to justify under any mainstream philosophical, religious or ethical theory." Where immigration is permitted, it is typically selective. As of 2003[update], family reunification accounted for approximately two-thirds of legal immigration to the US every year. Ethnic selection, such as the White Australia policy, has generally disappeared, but priority is usually given to the educated, skilled, and wealthy. Less privileged individuals, including the mass of poor people in low-income countries, cannot avail themselves of the legal and protected immigration opportunities offered by wealthy states. This inequality has also been criticized as conflicting with the principle of equal opportunities. The fact that the door is closed for the unskilled, while at the same time many developed countries have a huge demand for unskilled labor, is a major factor in illegal immigration. The contradictory nature of this policy—which specifically disadvantages the unskilled immigrants while exploiting their labor—has also been criticized on ethical grounds. Immigration policies which selectively grant freedom of movement to targeted individuals are intended to produce a net economic gain for the host country. They can also mean net loss for a poor donor country through the loss of the educated minority—a "brain drain". This can exacerbate the global inequality in standards of living that provided the motivation for the individual to migrate in the first place. One example of competition for skilled labour is active recruitment of health workers from developing countries by developed countries. There may however also be a "brain gain" to emigration, as migration opportunities lead to greater investments in education in developing countries. Overall, research suggests that migration is beneficial both to the receiving and sending countries. A survey of leading economists shows a consensus behind the view that high-skilled immigration makes the average American better off. A survey of the same economists also shows support behind the notion that low-skilled immigration, while creating winners and losers, makes the average American better off. A survey of European economists shows a consensus that freer movement of people to live and work across borders within Europe makes the average European better off, and strong support behind the notion that it has not made low-skilled Europeans worse off. According to David Card, Christian Dustmann, and Ian Preston, "most existing studies of the economic impacts of immigration suggest these impacts are small, and on average benefit the native population". In a survey of the existing literature, Örn B Bodvarsson and Hendrik Van den Berg write, "a comparison of the evidence from all the studies... makes it clear that, with very few exceptions, there is no strong statistical support for the view held by many members of the public, mainly that immigration has an adverse effect on native-born workers in the destination country." Whereas the impact on the average native tends to be small and positive, studies show more mixed results for low-skilled natives, but whether the effects are positive or negative, they tend to be small either way. [excessive citations] Immigrants may often do types of work that natives are largely unwilling to do, contributing to greater economic prosperity for the economy as a whole: for instance, Mexican migrant workers taking up manual farm work in the United States has close to zero effect on native employment in that occupation, which means that the effect of Mexican workers on U.S. employment outside farm work was therefore most likely positive, since they raised overall economic productivity. Research indicates that immigrants are more likely to work in risky jobs than U.S.-born workers, partly due to differences in average characteristics, such as immigrants' lower English language ability and educational attainment. According to a 2017 survey of the existing economic literature, studies on high-skilled migrants "rarely find adverse wage and employment consequences, and longer time horizons tend to show greater gains". Research also suggests that diversity and immigration have a net positive effect on productivity  and economic prosperity. Immigration has also been associated with reductions in offshoring. A study by Harvard economist Nathan Nunn, Yale economist Nancy Qian and LSE economist Sandra Sequeira found that the Age of Mass Migration (1850–1920) contributed to "higher incomes, higher productivity, more innovation, and more industrialization" in the short-run and "higher incomes, less poverty, less unemployment, higher rates of urbanization, and greater educational attainment" in the long-run for the United States. Research also shows that migration to Latin America during the Age of Mass Migration had a positive impact on long-run economic development. Studies show that the elimination of barriers to migration would have profound effects on world GDP, with estimates of gains ranging between 67–147.3% in the scenarios where billions of workers move from developing to developed countries. Research also finds that migration leads to greater trade in goods and services, and increases in financial flows between the sending and receiving countries. Using 130 years of data on historical migrations to the United States, one study finds "that a doubling of the number of residents with ancestry from a given foreign country relative to the mean increases by 4.2 percentage points the probability that at least one local firm invests in that country, and increases by 31% the number of employees at domestic recipients of FDI from that country. The size of these effects increases with the ethnic diversity of the local population, the geographic distance to the origin country, and the ethno-linguistic fractionalization of the origin country." A 2017 study found that "immigrants' genetic diversity is significantly positively correlated with measures of U.S. counties' economic development [during the Age of Mass Migration]. There exists also a significant positive relationship between immigrants' genetic diversity in 1870 and contemporaneous measures of U.S. counties' average income." Some research suggests that immigration can offset some of the adverse effects of automation on native labor outcomes. By increasing overall demand, immigrants could push natives out of low-skilled manual labor into better paying occupations. A 2018 study in the American Economic Review found that the Bracero program (which allowed almost half a million Mexican workers to do seasonal farm labor in the United States) did not have any adverse impact on the labor market outcomes of American-born farm workers. A 2016 paper by University of Southern Denmark and University of Copenhagen economists found that the 1924 immigration restrictions enacted in the United States impaired the economy. Overall immigration has not had much effect on native wage inequality but low-skill immigration has been linked to greater income inequality in the native population. Greater openness to low-skilled immigration in wealthy countries would drastically reduce global income inequality. A 2011 literature review of the economic impacts of immigration found that the net fiscal impact of migrants varies across studies but that the most credible analyses typically find small and positive fiscal effects on average. According to the authors, "the net social impact of an immigrant over his or her lifetime depends substantially and in predictable ways on the immigrant's age at arrival, education, reason for migration, and similar". According to a 2007 literature review by the Congressional Budget Office, "Over the past two decades, most efforts to estimate the fiscal impact of immigration in the United States have concluded that, in aggregate and over the long term, tax revenues of all types generated by immigrants—both legal and unauthorized—exceed the cost of the services they use." A 2018 study found that inflows of asylum seekers into Western Europe from 1985 to 2015 had a net positive fiscal impact. Research has shown that EU immigrants made a net positive fiscal contribution to Denmark and the United Kingdom. A 2017 study found that when Romanian and Bulgarian immigrants to the United Kingdom gained permission to acquire welfare benefits in 2014 that it had no discernible impact on the immigrants' use of welfare benefits. A paper by a group of French economists found that over the period 1980-2015, "international migration had a positive impact on the economic and fiscal performance of OECD countries." A 2017 survey of leading economists found that 34% of economists agreed with the statement "The influx of refugees into Germany beginning in the summer of 2015 will generate net economic benefits for German citizens over the succeeding decade", whereas 38% were uncertain and 6% disagreed. Studies of refugees' impact on native welfare are scant but the existing literature shows mixed results (negative, positive and no significant effects on native welfare). [excessive citations] According to economist Michael Clemens, "when economists have studied past influxes of refugees and migrants they have found the labor market effects, while varied, are very limited, and can in fact be positive." A 2018 study in the Economic Journal found that Vietnamese refugees to the United States had a positive impact on American exports, as exports to Vietnam grew most in US states with larger Vietnamese populations. A 2018 study in the journal Science Advances found that asylum seekers entering Western Europe in the period 1985-2015 had a positive macroeconomic and fiscal impact. A 2017 paper by Evans and Fitzgerald found that refugees to the United States pay "$21,000 more in taxes than they receive in benefits over their first 20 years in the U.S." An internal study by the Department of Health and Human Services under the Trump administration, which was suppressed and not shown to the public, found that refugees to the United States brought in $63 billion more in government revenues than they cost the government. According to University of California, Davis, labor economist Giovanni Peri, the existing literature suggests that there are no economic reasons why the American labor market could not easily absorb 100,000 Syrian refugees in a year. A 2017 paper looking at the long-term impact of refugees on the American labor market over the period 1980–2010 found "that there is no adverse long-run impact of refugees on the U.S. labor market." Refugees integrate more slowly into host countries' labor markets than labor migrants, in part due to the loss and depreciation of human capital and credentials during the asylum procedure. Refugees tend to do worse in economic terms than natives, even when they have the same skills and language proficiencies of natives. For instance, a 2013 study of Germans in West-Germany who had been displaced from Eastern Europe during and after World War II showed that the forced German migrants did far worse economically than their native West-German counterparts decades later. Second-generation forced German migrants also did worse in economic terms than their native counterparts. A study of refugees to the United States found that "refugees that enter the U.S. before age 14 graduate high school and enter college at the same rate as natives. Refugees that enter as older teenagers have lower attainment with much of the difference attributable to language barriers and because many in this group are not accompanied by a parent to the U.S." Refugees that entered the U.S. at ages 18–45, have "much lower levels of education and poorer language skills than natives and outcomes are initially poor with low employment, high welfare use and low earnings." But the authors of the study find that "outcomes improve considerably as refugees age." A 2017 study found that the 0.5 million Portuguese who returned to Portugal from Mozambique and Angola in the mid-1970s lowered labor productivity and wages. A 2018 paper found that the areas in Greece that took on a larger share of Greek Orthodox refugees from the Greco-Turkish War of 1919-1922 "have today higher earnings, higher levels of household wealth, greater educational attainment, as well as larger financial and manufacturing sectors." Research on the economic effects of undocumented immigrants is scant but existing studies suggests that the effects are positive for the native population, and public coffers. A 2015 study shows that "increasing deportation rates and tightening border control weakens low-skilled labor markets, increasing unemployment of native low-skilled workers. Legalization, instead, decreases the unemployment rate of low-skilled natives and increases income per native." Studies show that legalization of undocumented immigrants would boost the U.S. economy; a 2013 study found that granting legal status to undocumented immigrants would raise their incomes by a quarter (increasing U.S. GDP by approximately $1.4 trillion over a ten-year period), and a 2016 study found that "legalization would increase the economic contribution of the unauthorized population by about 20%, to 3.6% of private-sector GDP." A 2018 National Bureau of Economic Research paper found that undocumented immigrants to the United States "generate higher surplus for US firms relative to natives, hence restricting their entry has a depressing effect on job creation and, in turn, on native labor markets." A 2017 study in the Journal of Public Economics found that more intense immigration enforcement increased the likelihood that US-born children with undocumented immigrant parents would live in poverty. A paper by Spanish economists found that upon legalizing the undocumented immigrant population in Spain, the fiscal revenues increased by around €4,189 per newly legalized immigrant. The paper found that the wages of the newly legalized immigrants increased after legalization, some low-skilled natives had worse labor market outcomes and high-skilled natives had improved labor market outcomes. A 2018 study found no evidence that apprehensions of undocumented immigrants in districts in the United States improved the labor market outcomes for American natives. Research suggests that migration is beneficial both to the receiving and sending countries. According to one study, welfare increases in both types of countries: "welfare impact of observed levels of migration is substantial, at about 5% to 10% for the main receiving countries and about 10% in countries with large incoming remittances". According to Branko Milanović, country of residency is by far the most important determinant of global income inequality, which suggests that the reduction in labor barriers would significantly reduce global income inequality. A study of equivalent workers in the United States and 42 developing countries found that "median wage gap for a male, unskilled (9 years of schooling), 35 year-old, urban formal sector worker born and educated in a developing country is P$15,400 per year at purchasing power parity". A 2014 survey of the existing literature on emigration finds that a 10 percent emigrant supply shock would increase wages in the sending country by 2–5.5%. According to economists Michael Clemens and Lant Pratchett, "permitting people to move from low-productivity places to high-productivity places appears to be by far the most efficient generalized policy tool, at the margin, for poverty reduction". A successful two-year in situ anti-poverty program, for instance, helps poor people make in a year what is the equivalent of working one day in the developed world. A slight reduction in the barriers to labor mobility between the developing and developed world would do more to reduce poverty in the developing world than any remaining trade liberalization. Research on a migration lottery allowing Tongans to move to New Zealand found that the lottery winners saw a 263% increase in income from migrating (after only one year in New Zealand) relative to the unsuccessful lottery entrants. A longer-term study on the Tongan lottery winners finds that they "continue to earn almost 300 percent more than non-migrants, have better mental health, live in households with more than 250 percent higher expenditure, own more vehicles, and have more durable assets". A conservative estimate of their lifetime gain to migration is NZ$315,000 in net present value terms (approximately US$237,000). A 2017 study of Mexican immigrant households in the United States found that by virtue of moving to the United States, the households increase their incomes more than fivefold immediately. The study also found that the "average gains accruing to migrants surpass those of even the most successful current programs of economic development." A 2017 study of European migrant workers in the UK shows that upon accession to the EU, the migrant workers see a substantial positive impact on their earnings. The data indicate that acquiring EU status raises earnings for the workers by giving them the right to freely change jobs. A 2017 study in the Quarterly Journal of Economics found that immigrants from middle- and low-income countries to the United States increased their wages by a factor of two to three upon migration. A 2017 survey of the existing economic literature found that "high-skilled migrants boost innovation and productivity outcomes." According to a 2013 survey of the existing economic literature, "much of the existing research points towards positive net contributions by immigrant entrepreneurs." Areas where immigrant are more prevalent in the United States have substantially more innovation (as measured by patenting and citations). Immigrants to the United States create businesses at higher rates than natives. A 2010 study showed "that a 1 percentage point increase in immigrant college graduates' population share increases patents per capita by 9–18 percent." Mass migration can also boost innovation and growth, as shown by the Jewish, Huguenot and Bohemian diasporas in Berlin and Prussia, German Jewish Émigrés in the US, the Mariel boatlift, the exodus of Soviet Jews to Israel in the 1990s, European migration to Argentina during the Age of Mass Migration (1850–1914), west-east migration in the wake of German reunification, and Polish immigration to Germany after joining the EU. A 2018 study in the Economic Journal found that "that a 10% increase in immigration from exporters of a given product is associated with a 2% increase in the likelihood that the host country starts exporting that good ‘from scratch’ in the next decade." Immigrants have been linked to greater invention and innovation in the US. According to one report, "immigrants have started more than half (44 of 87) of America's startup companies valued at $1 billion dollars or more and are key members of management or product development teams in over 70 percent (62 of 87) of these companies." One analysis found that immigrant-owned firms had a higher innovation rate (on most measures of innovation) than firms owned by U.S.-born entrepreneurs. Research also shows that labor migration increases human capital. Foreign doctoral students are a major source of innovation in the American economy. In the United States, immigrant workers hold a disproportionate share of jobs in science, technology, engineering, and math (STEM): "In 2013, foreign-born workers accounted for 19.2 percent of STEM workers with a bachelor's degree, 40.7 percent of those with a master's degree, and more than half—54.5 percent—of those with a Ph.D."
A 2015 study finds "some evidence that larger immigrant population shares (or inflows) yield positive impacts on institutional quality. At a minimum, our results indicate that no negative impact on economic freedom is associated with more immigration." Another study, looking at the increase in Israel's population in the 1990s due to the unrestricted immigration of Jews from the Soviet Union, finds that the mass immigration did not undermine political institutions, and substantially increased the quality of economic institutions. A 2017 study in the British Journal of Political Science argued that the British American colonies without slavery adopted better democratic institutions in order to attract migrant workers to their colonies. A 2018 study fails to find evidence that immigration to the United States weakens economic freedom. Some research has found that as immigration and ethnic heterogeneity increase, government funding of welfare and public support for welfare decrease. Ethnic nepotism may be an explanation for this phenomenon. Other possible explanations include theories regarding in-group and out-group effects and reciprocal altruism. Research however also challenges the notion that ethnic heterogeneity reduces public goods provision. Studies that find a negative relationship between ethnic diversity and public goods provision often fail to take into account that strong states were better at assimilating minorities, thus decreasing diversity in the long run. Ethnically diverse states today consequently tend to be weaker states. Because most of the evidence on fractionalization comes from sub-Saharan Africa and the United States, the generalizability of the findings is questionable. A 2018 study in the American Political Science Review cast doubts on findings that ethnoracial homogeneity led to greater public goods provision. Research finds that Americans' attitudes towards immigration influence their attitudes towards welfare spending. A 2016 study found that immigration in the period 1940–2010 in the United States increased the high school completion of natives: "An increase of one percentage point in the share of immigrants in the population aged 11–64 increases the probability that natives aged 11–17 eventually complete 12 years of schooling by 0.3 percentage point." Studies have found that non-native speakers of English in the UK have no causal impact on the performance of other pupils, immigrant children have no significant impact on the test scores of Dutch children, no effect on grade repetition among native students exposed to migrant students in Austrian schools, that the presence of Latin American children in schools had no significant negative effects on peers, but that students with limited English skills had slight negative effects on peers, and that the influx of Haitians to Florida public schools after the 2010 Haiti earthquake had no effects on the educational outcomes of incumbent students. A 2018 study found that the "presence of immigrant students who have been in the country for some time is found to have no effect on natives. However, a small negative effect of recent immigrants on natives’ language scores is reported." Another 2018 study found that the presence of immigrant students to Italy was associated with "small negative average effects on maths test scores that are larger for low ability native students, strongly non-linear and only observable in classes with a high (top 20%) immigrant concentration. These outcomes are driven by classes with a high average linguistic distance between immigrants and natives, with no apparent additional role played by ethnic diversity." 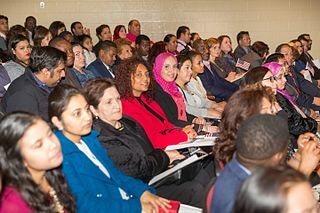 A 2018 study in the American Sociological Review found that within racial groups, most immigrants to the United States had fully assimilated within a span of 20 years. Immigrants arriving in the United States after 1994 assimilate more rapidly than immigrants who arrived in previous periods. Measuring assimilation can be difficult due to "ethnic attrition", which refers to when ancestors of migrants cease to self-identify with the nationality or ethnicity of their ancestors. This means that successful cases of assimilation will be underestimated. Research shows that ethnic attrition is sizable in Hispanic and Asian immigrant groups in the United States. By taking account of ethnic attrition, the assimilation rate of Hispanics in the United States improves significantly. A 2016 paper challenges the view that cultural differences are necessarily an obstacle to long-run economic performance of migrants. It finds that "first generation migrants seem to be less likely to success the more culturally distant they are, but this effect vanishes as time spent in the US increases." A 2018 study found that Chinese nationals in the United States who received permanent residency permits from the US government amid the Tianamen Square protests (and subsequent Chinese government clampdown) experienced significant employment and earnings gains relative to similar immigrant groups who did not have the same residency rights. During the Age of Mass Migration, infant arrivals to the United States had greater economic success over their lifetime than teenage arrivals. A 2015 report by the National Institute of Demographic Studies finds that an overwhelming majority of second-generation immigrants of all origins in France feel French, despite the persistent discrimination in education, housing and employment that many of the minorities face. Research shows that country of origin matters for speed and depth of immigrant assimilation but that there is considerable assimilation overall. Research finds that first generation immigrants from countries with less egalitarian gender cultures adopt gender values more similar to natives over time. According to one study, "this acculturation process is almost completed within one generational succession: The gender attitudes of second generation immigrants are difficult to distinguish from the attitudes of members of mainstream society. This holds also for children born to immigrants from very gender traditional cultures and for children born to less well integrated immigrant families." Similar results are found on a study of Turkish migrants to Western Europe. The assimilation on gender attitudes has been observed in education, as one study finds "that the female advantage in education observed among the majority population is usually present among second-generation immigrants." Share of migrants in all countries. Data from 2015. A 2017 study of Switzerland found that naturalization strongly improves long-term social integration of immigrants: "The integration returns to naturalization are larger for more marginalized immigrant groups and when naturalization occurs earlier, rather than later in the residency period." A separate study of Switzerland found that naturalization improved the economic integration of immigrants: "winning Swiss citizenship in the referendum increased annual earnings by an average of approximately 5,000 U.S. dollars over the subsequent 15 years. This effect is concentrated among more marginalized immigrants." First-generation immigrants tend to hold less accepting views of homosexual lifestyles but opposition weakens with longer stays. Second-generation immigrants are overall more accepting of homosexual lifestyles, but the acculturation effect is weaker for Muslims and to some extent, Eastern Orthodox migrants. A study of Bangladeshi migrants in East London found they shifted towards the thinking styles of the wider non-migrant population in just a single generation. A study on Germany found that foreign-born parents are more likely to integrate if their children are entitled to German citizenship at birth. A 2017 study found that "faster access to citizenship improves the economic situation of immigrant women, especially their labour market attachment with higher employment rates, longer working hours and more stable jobs. Immigrants also invest more in host country-specific skills like language and vocational training. Faster access to citizenship seems a powerful policy instrument to boost economic integration in countries with traditionally restrictive citizenship policies." Naturalization is associated with large and persistent wage gains for the naturalized citizens in most countries. One study of Denmark found that providing immigrants with voting rights reduced their crime rate. Studies on programs that randomly allocate refugee immigrants across municipalities find that the assignment of neighborhood impacts immigrant crime propensity, education and earnings. Research suggests that bilingual schooling reduces barriers between speakers from two different communities. Research suggests that a vicious cycle of bigotry and isolation could reduce assimilation and increase bigotry towards immigrants in the long-term. For instance, University of California, San Diego political scientist Claire Adida, Stanford University political scientist David Laitin and Sorbonne University economist Marie-Anne Valfort argue "fear-based policies that target groups of people according to their religion or region of origin are counter-productive. Our own research, which explains the failed integration of Muslim immigrants in France, suggests that such policies can feed into a vicious cycle that damages national security. French Islamophobia—a response to cultural difference—has encouraged Muslim immigrants to withdraw from French society, which then feeds back into French Islamophobia, thus further exacerbating Muslims’ alienation, and so on. Indeed, the failure of French security in 2015 was likely due to police tactics that intimidated rather than welcomed the children of immigrants—an approach that makes it hard to obtain crucial information from community members about potential threats." A study which examined Catalan nationalism examined the Catalan Government's policy towards the integration of immigrants during the start of the 1990s. At this time the Spanish region of Catalonia was experiencing a large influx in the number of immigrants from Northern Africa , Latin America and Asia.The Spanish government paid little attention to this influx of immigrants. However, Catalan politicians began discussing how the increase in immigrants would effect Catalan identity. Members of the Catalan parliament petitioned for a plan to integrate these immigrants into Catalan society. Crucially , the plan did not include policies regarding naturalisation , which were key immigration policies of the Spanish government.The plan of the Catalan parliament aimed to create a shared Catalan identity which included both the native Catalan population and immigrant communities. This meant that immigrants were encouraged to relate as part of the Catalan community but also encouraged to retain their own culture and traditions. In this way assimilation of immigrant cultures in Catalonia was avoided. A 2018 study in the British Journal of Political Science found that immigrants in Norway became more politically engaged the earlier that they were given voting rights. A 2019 study in the European Economic Review found that language training improved the economic assimilation of immigrants in France. There is some research that suggests that immigration adversely affects social capital. One study, for instance, found that "larger increases in US states' Mexican population shares correspond to larger decreases in social capital over the period" 1986–2004. A 2017 study in the Journal of Comparative Economics found that "individuals whose ancestors migrated from countries with higher autocracy levels are less likely to trust others and to vote in presidential elections in the U.S. The impact of autocratic culture on trust can last for at least three generations while the impact on voting disappears after one generation. These impacts on trust and voting are also significant across Europe." Research suggests that immigration has positive effects on native workers' health. As immigration rises, native workers are pushed into less demanding jobs, which improves native workers' health outcomes. A 2018 study found that immigration to the United Kingdom "reduced waiting times for outpatient referrals and did not have significant effects on waiting times in accident and emergency departments (A&E) and elective care." The study also found "evidence that immigration increased waiting times for outpatient referrals in more deprived areas outside of London" but that this increase disappears after 3 to 4 years. A 2018 systemic review and meta-analysis in The Lancet found that migrants generally have better health than the general population. 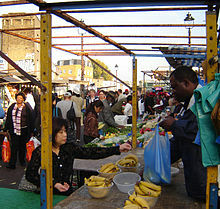 A 2014 study of the United Kingdom found that immigration generally reduced house prices, because natives at the top of the wage distribution respond to immigration by moving to other areas, reducing demand for housing. Immigration and crime refers to perceived or actual relationships between crime and immigration. The academic literature provides mixed findings for the relationship between immigration and crime worldwide, but finds for the United States that immigration either has no impact on the crime rate or that it reduces the crime rate. A meta-analysis of 51 studies from 1994–2014 on the relationship between immigration and crime in different countries found that overall immigration reduces crime, but the relationship is very weak. Research suggests that people tend to overestimate the relationship between immigration and criminality. The over-representation of immigrants in the criminal justice systems of several countries may be due to socioeconomic factors, imprisonment for migration offenses, and racial and ethnic discrimination by police and the judicial system. The relationship between immigration and terrorism is understudied, but existing research suggests that the relationship is weak and that repression of the immigrants increases the terror risk. Research suggests that police practices, such as racial profiling, over-policing in areas populated by minorities and in-group bias may result in disproportionately high numbers of racial minorities among crime suspects in Sweden, Italy, and England and Wales. Research also suggests that there may be possible discrimination by the judicial system, which contributes to a higher number of convictions for racial minorities in Sweden, the Netherlands, Italy, Germany, Denmark and France. A 2018 study found that the Dutch are less likely to reciprocate in games played with immigrants than the native Dutch. Several meta-analyses find extensive evidence of ethnic and racial discrimination in hiring in the North-American and European labor markets. A 2016 meta-analysis of 738 correspondence tests in 43 separate studies conducted in OECD countries between 1990 and 2015 finds that there is extensive racial discrimination in hiring decisions in Europe and North-America. Equivalent minority candidates need to send around 50% more applications to be invited for an interview than majority candidates. A 2014 meta-analysis found extensive evidence of racial and ethnic discrimination in the housing market of several European countries. A 2014 meta-analysis of racial discrimination in product markets found extensive evidence of minority applicants being quoted higher prices for products. A 1995 study found that car dealers "quoted significantly lower prices to white males than to black or female test buyers using identical, scripted bargaining strategies." A 2013 study found that eBay sellers of iPods received 21 percent more offers if a white hand held the iPod in the photo than a black hand. Research suggests that police practices, such as racial profiling, over-policing in areas populated by minorities and in-group bias may result in disproportionately high numbers of racial minorities among crime suspects. Research also suggests that there may be possible discrimination by the judicial system, which contributes to a higher number of convictions for racial minorities. A 2012 study found that "(i) juries formed from all-white jury pools convict black defendants significantly (16 percentage points) more often than white defendants, and (ii) this gap in conviction rates is entirely eliminated when the jury pool includes at least one black member." Research has found evidence of in-group bias, where "black (white) juveniles who are randomly assigned to black (white) judges are more likely to get incarcerated (as opposed to being placed on probation), and they receive longer sentences." In-group bias has also been observed when it comes to traffic citations, as black and white cops are more likely to cite out-groups. A 2015 study using correspondence tests "found that when considering requests from prospective students seeking mentoring in the future, faculty were significantly more responsive to White males than to all other categories of students, collectively, particularly in higher-paying disciplines and private institutions." Through affirmative action, there is reason to believe that elite colleges favor minority applicants. A 2018 National Bureau of Economic Research paper found that math teachers discriminate against the children of immigrants. When the teachers wee informed about negative stereotypes towards the children of immigrants, they gave higher grades to the children of immigrants. A 2014 meta-analysis found extensive evidence of racial discrimination in the American housing market. Minority applicants for housing needed to make many more enquiries to view properties. Geographical steering of African-Americans in US housing remained significant. A 2003 study finds "evidence that agents interpret an initial housing request as an indication of a customer's preferences, but also are more likely to withhold a house from all customers when it is in an integrated suburban neighborhood (redlining). Moreover, agents' marketing efforts increase with asking price for white, but not for black, customers; blacks are more likely than whites to see houses in suburban, integrated areas (steering); and the houses agents show are more likely to deviate from the initial request when the customer is black than when the customer is white. These three findings are consistent with the possibility that agents act upon the belief that some types of transactions are relatively unlikely for black customers (statistical discrimination)." A report by the federal Department of Housing and Urban Development where the department sent African-Americans and whites to look at apartments found that African-Americans were shown fewer apartments to rent and houses for sale. Several meta-analyses find extensive evidence of ethnic and racial discrimination in hiring in the American labor market. A 2016 meta-analysis of 738 correspondence tests – tests where identical CVs for stereotypically black and white names were sent to employers – in 43 separate studies conducted in OECD countries between 1990 and 2015 finds that there is extensive racial discrimination in hiring decisions in Europe and North-America. These correspondence tests showed that equivalent minority candidates need to send around 50% more applications to be invited for an interview than majority candidates. A study that examine the job applications of actual people provided with identical résumés and similar interview training showed that African-American applicants with no criminal record were offered jobs at a rate as low as white applicants who had criminal records. Remittances increase living standards in the country of origin. Remittances are a large share of the GDP of many developing countries. A study on remittances to Mexico found that remittances lead to a substantial increase in the availability of public services in Mexico, surpassing government spending in some localities. Research finds that emigration and low migration barriers has net positive effects on human capital formation in the sending countries. This means that there is a "brain gain" instead of a "brain drain" to emigration. One study finds that sending countries benefit indirectly in the long-run on the emigration of skilled workers because those skilled workers are able to innovate more in developed countries, which the sending countries are able to benefit on as a positive externality. Greater emigration of skilled workers consequently leads to greater economic growth and welfare improvements in the long-run. The negative effects of high-skill emigration remain largely unfounded. According to economist Michael Clemens, it has not been shown that restrictions on high-skill emigration reduce shortages in the countries of origin. Research also suggests that emigration, remittances and return migration can have a positive impact on political institutions and democratization in the country of origin. Research also shows that remittances can lower the risk of civil war in the country of origin. Return migration from countries with liberal gender norms has been associated with the transfer of liberal gender norms to the home country. Research suggests that emigration causes an increase in the wages of those who remain in the country of origin. A 2014 survey of the existing literature on emigration finds that a 10 percent emigrant supply shock would increase wages in the sending country by 2–5.5%. A study of emigration from Poland shows that it led to a slight increase in wages for high- and medium-skilled workers for remaining Poles. A 2013 study finds that emigration from Eastern Europe after the 2004 EU enlargement increased the wages of remaining young workers in the country of origin by 6%, while it had no effect on the wages of old workers. The wages of Lithuanian men increased as a result of post-EU enlargement emigration. Return migration is associated with greater household firm revenues. Some research shows that the remittance effect is not strong enough to make the remaining natives in countries with high emigration flows better off. ^ "immigration". OxfordDictionaries.com. Oxford University Press. Retrieved 11 May 2016. ^ "immigrate". Merriam-Webster.com. Merriam-Webster, In. Retrieved 27 March 2014. ^ "Who's who: Definitions". London, England: Refugee Council. 2016. Retrieved 7 September 2015. ^ a b c d e di Giovanni, Julian; Levchenko, Andrei A.; Ortega, Francesc (1 February 2015). "A Global View of Cross-Border Migration". Journal of the European Economic Association. 13 (1): 168–202. doi:10.1111/jeea.12110. hdl:10230/22196. ISSN 1542-4774. ^ a b Andreas, Willenbockel,Dirk; Sia, Go,Delfin; Amer, Ahmed, S. (2016-04-11). "Global migration revisited : short-term pains, long-term gains, and the potential of south-south migration": 1–33. ^ a b Card, David; Dustmann, Christian; Preston, Ian (1 February 2012). "Immigration, Wages, and Compositional Amenities". Journal of the European Economic Association. 10 (1): 78–119. doi:10.1111/j.1542-4774.2011.01051.x. ISSN 1542-4774. ^ Bodvarsson, Örn B; Van den Berg, Hendrik (1 January 2013). The economics of immigration: theory and policy. New York; Heidelberg [u.a. ]: Springer. p. 157. ISBN 9781461421153. ^ a b "Migration Within Europe | IGM Forum". www.igmchicago.org. Retrieved 2016-12-07. ^ "Poll Results | IGM Forum". www.igmchicago.org. Retrieved 19 September 2015. ^ a b Iregui, Ana Maria (1 January 2003). "Efficiency Gains from the Elimination of Global Restrictions on Labour Mobility: An Analysis using a Multiregional CGE Model". ^ a b Clemens, Michael A (1 August 2011). "Economics and Emigration: Trillion-Dollar Bills on the Sidewalk?". Journal of Economic Perspectives. 25 (3): 83–106. doi:10.1257/jep.25.3.83. ISSN 0895-3309. ^ a b Hamilton, B.; Whalley, J. (1 February 1984). "Efficiency and distributional implications of global restrictions on labour mobility: calculations and policy implications". Journal of Development Economics. 14 (1–2): 61–75. doi:10.1016/0304-3878(84)90043-9. ISSN 0304-3878. PMID 12266702. ^ a b Milanovic, Branko (7 January 2014). "Global Inequality of Opportunity: How Much of Our Income Is Determined by Where We Live?". Review of Economics and Statistics. 97 (2): 452–460. doi:10.1162/REST_a_00432. ISSN 0034-6535. ^ a b c Mishra, Prachi (2014-12-26). Emigration and wages in source countries: a survey of the empirical literature. International Handbook on Migration and Economic Development. Edward Elgar Publishing. pp. 241–266. doi:10.4337/9781782548072.00013. ISBN 9781782548072. Retrieved 25 January 2016. ^ a b c Clemens, Michael A.; Pritchett, Lant (February 2016). "The New Economic Case for Migration Restrictions: An Assessment". IZA Discussion Papers (9730). Retrieved 13 February 2016. ^ The Integration of Immigrants into American Society. National Academies of Sciences, Engineering, and Medicine. 2015. doi:10.17226/21746. ISBN 978-0-309-37398-2. Americans have long believed that immigrants are more likely than natives to commit crimes and that rising immigration leads to rising crime... This belief is remarkably resilient to the contrary evidence that immigrants are in fact much less likely than natives to commit crimes. ^ Lee, Matthew T.; Martinez Jr., Ramiro (2009). "Immigration reduces crime: an emerging scholarly consensus". Immigration, Crime and Justice. Emerald Group Publishing. pp. 3–16. ISBN 9781848554382. ^ a b c Villarreal, Andrés; Tamborini, Christopher R. (2018). "Immigrants' Economic Assimilation: Evidence from Longitudinal Earnings Records". American Sociological Review. 83 (4): 686–715. doi:10.1177/0003122418780366. ^ a b Blau, Francine D. (2015). "Immigrants and Gender Roles: Assimilation vs. Culture" (PDF). IZA Journal of Migration. 4 (1): 1–21. doi:10.1186/s40176-015-0048-5. Retrieved 13 October 2018. ^ a b c d e f g Zschirnt, Eva; Ruedin, Didier (27 May 2016). "Ethnic discrimination in hiring decisions: a meta-analysis of correspondence tests 1990–2015". Journal of Ethnic and Migration Studies. 42 (7): 1115–1134. doi:10.1080/1369183X.2015.1133279. hdl:10419/142176. ISSN 1369-183X. ^ a b c d e f g h Rich, Judy (October 2014). "What Do Field Experiments of Discrimination in Markets Tell Us? A Meta Analysis of Studies Conducted since 2000". IZA Discussion Papers (8584). SSRN 2517887. Retrieved 24 April 2016. ^ Rehavi, M. Marit; Starr, Sonja B. (2014). "Racial Disparity in Federal Criminal Sentences". Journal of Political Economy. 122 (6): 1320–1354. doi:10.1086/677255. ISSN 0022-3808. ^ Enos, Ryan D. (2016-01-01). "What the Demolition of Public Housing Teaches Us about the Impact of Racial Threat on Political Behavior". American Journal of Political Science. 60 (1): 123–142. doi:10.1111/ajps.12156. ^ "outmigrant". OxfordDictionaries.com. Oxford University Press. Retrieved 11 May 2016. ^ a b c d "Trends in international migration, 2015" (PDF). UN.org. United Nations Department of Economic and Social Affairs, Population Division. December 2015. Retrieved 16 May 2016. ^ "150 Million Adults Worldwide Would Migrate to the U.S". Gallup.com. 20 April 2012. Retrieved 14 May 2014. ^ Bilefsky, Dan (5 June 2009). "Crisis Strands Vietnamese Workers in a Czech Limbo". The New York Times. Retrieved 11 May 2016. ^ "White ethnic Britons in minority in London". Financial Times. 11 December 2012. ^ Graeme Paton (1 October 2007). "One fifth of children from ethnic minorities". The Daily Telegraph. London. Archived from the original on 15 June 2009. Retrieved 7 June 2008. ^ York, Harlan (4 July 2015). "How Many People are Immigrants?". Harlan York and Associates. Retrieved 30 July 2015. ^ a b Boustan, Adain May (15 January 2009). Fertility and Immigration. UCLA. ^ Cattaneo, Cristina; Peri, Giovanni (2016). "The Migration Response to Increasing Temperatures". Journal of Development Economics. 122 (C): 127–146. doi:10.1016/j.jdeveco.2016.05.004. hdl:10419/130264. ^ Kislev, Elyakim (1 June 2014). "The Effect of Minority/Majority Origins on Immigrants' Integration". Social Forces. 92 (4): 1457–1486. doi:10.1093/sf/sou016. ISSN 0037-7732. ^ Borjas, George J. (1 April 1982). "The Earnings of Male Hispanic Immigrants in the United States". Industrial & Labor Relations Review. 35 (3): 343–353. doi:10.1177/001979398203500304. ISSN 0019-7939. ^ Rubin, Mark (July 2013). ""It Wasn't My Idea to Come Here! ": Young Women Lack Ownership of the Idea to Immigrate - Mark Rubin's Social Psychology Research". International Journal of Intercultural Relations. 37 (4): 497–501. doi:10.1016/j.ijintrel.2013.02.001. ISSN 0147-1767. Retrieved 3 October 2018. ^ Haskell, Leslie (18 September 2014). "EU asylum and war criminals: No place to hide". EUobserver.com. EUobserver. Retrieved 13 May 2016. ^ Knight, Ben (11 April 2016). "Refugees in Germany reporting dozens of war crimes". DW.com. Deutsche Welle. Retrieved 13 May 2016. ^ Porter, Tom (26 February 2016). "Sweden: Syrian asylum seeker suspected of war crimes under Assad regime arrested in Stockholm". International Business Times UK. International Business Times. Retrieved 13 May 2016. ^ May, Julia. "Lack of network hurting migrant workers". The Sydney Morning Herald. Retrieved 2017-01-02. ^ Nunez, Christina (12 December 2014). "The 7 biggest challenges facing refugees and immigrants in the US". Global Citizen. Global Poverty Project. Retrieved 16 May 2016. ^ Djajić, Slobodan (1 September 2013). "Barriers to immigration and the dynamics of emigration". Journal of Macroeconomics. 37: 41–52. doi:10.1016/j.jmacro.2013.06.001. ^ "Migration, refugees, Europe – waves of emotion". Euranet Plus inside. Euranet Plus Network. 7 May 2015. Retrieved 16 May 2016. ^ Nowicki, Dan. "Europe learns integration can become emotional". AZCentral.com. Retrieved 16 May 2016. ^ Tamura, Yuji (29 July 2010). "Do Employers Support Immigration?". Trinity Economics Papers (1107). doi:10.2139/ssrn.1021941. ISSN 1556-5068. Retrieved 29 October 2018. ^ Facchini, G.; Steinhardt, M. F. (2011). "What drives U.S. Immigration policy? Evidence from congressional roll call votes". Journal of Public Economics. 95 (7–8): 734. CiteSeerX 10.1.1.585.3903. doi:10.1016/j.jpubeco.2011.02.008. ^ Bernstein, Nina (16 March 2006). "An Irish Face on the Cause of Citizenship". The New York Times. Retrieved 11 May 2016. ^ National Council of La Raza. "Action on Immigration Reform". National Council of La Raza. Archived from the original on 13 April 2011. Retrieved 29 October 2018. ^ Remittance Prices Worldwide MAKING MARKETS MORE TRANSPARENT (28 April 2014). "Remittance Prices Worldwide". Remittanceprices.worldbank.org. Retrieved 14 May 2014. ^ "Amnesty International State of the World 2015-2016". AmnestyUSA.org. Amnesty International USA. 23 February 2016. Retrieved 11 May 2016. ^ Truong, Thanh-Dam; Gasper, Des (7 June 2011). Transnational Migration and Human Security: The Migration-Development-Security Nexus. Springer Science & Business Media. ISBN 9783642127571. ^ "International Convention on the Protection of the Rights of All Migrant Workers and Members of their Families". Treaties.UN.org. New York: United Nations. 18 December 1990. Retrieved 11 May 2016. ^ "The Universal Declaration of Human Rights". UN.org. Paris: United Nations. 10 December 1948. Retrieved 11 May 2016. ^ "International Covenant on Civil and Political Rights". OHCHR.org. Office of the United Nations High Commissioner for Human Rights. 16 December 1966. Retrieved 11 May 2016. ^ Hayter, Theresa (2000). Open Borders: The Case Against Immigration Controls. London: Pluto Press. ^ "Anarchism and Immigration". theanarchistlibrary. 1 January 2005. ^ [http://OpposingViews.com "The Ethical Case for an Open Immigration Policy"] Check |url= value (help). Render Media. 4 May 2009. ^ McKay, Ramah (1 May 2003). "Family Reunification". migrationpolicy.org. Migration Policy Institute. ^ Krotz, Larry (12 September 2012). "Poaching Foreign Doctors". The Walrus. The Walrus. Retrieved 16 May 2016. ^ Stilwell, Barbara; Diallo, Khassoum; Zurn, Pascal; Vujicic, Marko; Adams, Orvill; Dal Poz, Mario (2004). "Migration of health-care workers from developing countries: strategic approaches to its management" (PDF). Bulletin of the World Health Organization (82): 595–600. Retrieved 16 May 2016. ^ a b c Shrestha, Slesh A. (1 April 2016). "No Man Left Behind: Effects of Emigration Prospects on Educational and Labour Outcomes of Non-migrants". The Economic Journal. 127 (600): 495–521. doi:10.1111/ecoj.12306. ISSN 1468-0297. ^ a b c Beine, Michel; Docquier, Fréderic; Rapoport, Hillel (1 April 2008). "Brain Drain and Human Capital Formation in Developing Countries: Winners and Losers". The Economic Journal. 118 (528): 631–652. doi:10.1111/j.1468-0297.2008.02135.x. hdl:2078.1/5768. ISSN 1468-0297. ^ a b c Dinkelman, Taryn; Mariotti, Martine (2016). "The Long Run Effects of Labor Migration on Human Capital Formation in Communities of Origin". American Economic Journal: Applied Economics. 8 (4): 1–35. doi:10.1257/app.20150405. ^ a b c Batista, Catia; Lacuesta, Aitor; Vicente, Pedro C. (1 January 2012). "Testing the 'brain gain' hypothesis: Micro evidence from Cape Verde". Journal of Development Economics. 97 (1): 32–45. doi:10.1016/j.jdeveco.2011.01.005. hdl:10419/44193. ^ a b Card, David (1990). "The Impact of the Mariel Boatlift on the Miami Labor Market". Industrial and Labor Relations Review. 43 (2): 245–257. doi:10.1177/001979399004300205. ^ a b Foged, Mette; Peri, Giovanni (2016). "Immigrants' Effect on Native Workers: New Analysis on Longitudinal Data". American Economic Journal: Applied Economics. 8 (2): 1–34. doi:10.1257/app.20150114. hdl:10419/110686. ^ Borjas, George J. (1 November 2003). "The Labor Demand Curve is Downward Sloping: Reexamining the Impact of Immigration on the Labor Market". The Quarterly Journal of Economics. 118 (4): 1335–1374. CiteSeerX 10.1.1.183.1227. doi:10.1162/003355303322552810. ISSN 0033-5533. ^ a b Chassamboulli, Andri; Peri, Giovanni (1 October 2015). "The labor market effects of reducing the number of illegal immigrants". Review of Economic Dynamics (Submitted manuscript). 18 (4): 792–821. doi:10.1016/j.red.2015.07.005. ^ a b c Kerr, Sari Pekkala; Kerr, William R. (2011). "Economic Impacts of Immigration: A Survey" (PDF). Finnish Economic Papers. 24 (1): 1–32. ^ Longhi, Simonetta; Nijkamp, Peter; Poot, Jacques (1 July 2005). "A Meta-Analytic Assessment of the Effect of Immigration on Wages". Journal of Economic Surveys. 19 (3): 451–477. CiteSeerX 10.1.1.594.7035. doi:10.1111/j.0950-0804.2005.00255.x. ISSN 1467-6419. ^ Longhi, Simonetta; Nijkamp, Peter; Poot, Jacques (1 October 2010). "Meta-Analyses of Labour-Market Impacts of Immigration: Key Conclusions and Policy Implications". Environment and Planning C: Government and Policy. 28 (5): 819–833. doi:10.1068/c09151r. ISSN 0263-774X. ^ Okkerse, Liesbet (1 February 2008). "How to Measure Labour Market Effects of Immigration: A Review". Journal of Economic Surveys. 22 (1): 1–30. doi:10.1111/j.1467-6419.2007.00533.x. ISSN 1467-6419. ^ Ottaviano, Gianmarco I. P.; Peri, Giovanni (2012-02-01). "Rethinking the Effect of Immigration on Wages". Journal of the European Economic Association. 10 (1): 152–197. CiteSeerX 10.1.1.695.2005. doi:10.1111/j.1542-4774.2011.01052.x. ISSN 1542-4774. ^ Battisti, Michele; Felbermayr, Gabriel; Peri, Giovanni; Poutvaara, Panu (2014-05-01). "Immigration, Search, and Redistribution: A Quantitative Assessment of Native Welfare". NBER Working Paper No. 20131. doi:10.3386/w20131. ^ Card, David (2005). "Is the New Immigration Really So Bad?". Economic Journal. 115 (506): F300–F323. doi:10.1111/j.1468-0297.2005.01037.x. ^ Dustmann, Christian; Glitz, Albrecht; Frattini, Tommaso (2008-09-21). "The labour market impact of immigration". Oxford Review of Economic Policy. 24 (3): 477–494. CiteSeerX 10.1.1.521.9523. doi:10.1093/oxrep/grn024. ISSN 0266-903X. ^ "Migrants Bring Economic Benefits for Advanced Economies". iMFdirect - The IMF Blog. 2016-10-24. Retrieved 2016-11-21. ^ Furlanetto, Francesco; Robstad, Ørjan (2016-12-10). "Immigration and the macroeconomy: Some new empirical evidence". VoxEU.org. Retrieved 2016-12-16. ^ Constant, Amelie; University, George Washington; USA (2014-05-01). "Do migrants take the jobs of native workers?". IZA World of Labor. doi:10.15185/izawol.10. ^ Immigration, Panel on the Economic and Fiscal Consequences of; Statistics, Committee on National; Education, Division of Behavioral and Social Sciences and; Sciences, National Academies of; Engineering; Medicine, and (2016-09-21). The Economic and Fiscal Consequences of Immigration. doi:10.17226/23550. hdl:10919/83151. ISBN 9780309444422. ^ a b Mitaritonna, Cristina; Orefice, Gianluca; Peri, Giovanni (2017). "Immigrants and Firms' Outcomes: Evidence from France". European Economic Review. 96: 62–82. doi:10.1016/j.euroecorev.2017.05.001. ^ a b "What the Mariel Boatlift of Cuban Refugees Can Teach Us about the Economics of Immigration: An Explainer and a Revelation". Center For Global Development. Retrieved 2017-05-22. ^ Peri, Giovanni (2017-03-08). "Did Immigration contribute to wage stagnation of unskilled workers?". Research in Economics. 72 (2): 356–365. doi:10.1016/j.rie.2017.02.005. ^ Preston, Ian. "Fact Check: does immigration have an impact on wages or employment?". The Conversation. Retrieved 2017-09-15. ^ Portes, Jonathan (2018-04-06). "The economic impacts of immigration to the UK". VoxEU.org. Retrieved 2018-04-06. ^ Peri, Giovanni; Yasenov, Vasil (2018-01-30). "The Labor Market Effects of a Refugee Wave: Synthetic Control Method Meets the Mariel Boatlift". Journal of Human Resources: 0217_8561R1. doi:10.3368/jhr.54.2.0217.8561R1. hdl:10419/161228. ISSN 0022-166X. ^ a b "The effects of EU migration on Britain in 5 charts: Did migrants really force down wages and are they a drain on the UK exchequer?". Financial Times. 2018-09-18. Retrieved 2018-09-19. ^ Andreas, Beerli,; Jan, Ruffner,; Michael, Siegenthaler,; Giovanni, Peri, (2018-11-30). "The Abolition of Immigration Restrictions and the Performance of Firms and Workers: Evidence from Switzerland". NBER. ^ Edo, Anthony (2018). "The Impact of Immigration on the Labor Market". Journal of Economic Surveys. doi:10.1111/joes.12300. ISSN 1467-6419. ^ Wadsworth, Jonathan (2018). "Off EU Go? Brexit, the UK Labour Market and Immigration". Fiscal Studies. 39 (4): 625–649. doi:10.1111/1475-5890.12177. ISSN 1475-5890. ^ Clemens, Michael A. (January 2017). "The Effect of Occupational Visas on Native Employment: Evidence from Labor Supply to Farm Jobs in the Great Recession". IZA Discussion Papers (10492). Retrieved 2017-02-06. ^ Pia m. Orrenius, P. M.; Zavodny, M. (2009). "Do Immigrants Work in Riskier Jobs?". Demography. 46 (3): 535–551. CiteSeerX 10.1.1.529.311. doi:10.1353/dem.0.0064. PMC 2831347. PMID 19771943. ^ a b c Kerr, Sari Pekkala; Kerr, William; Özden, Çağlar; Parsons, Christopher (2017). "High-Skilled Migration and Agglomeration". Annual Review of Economics (Submitted manuscript). 9 (1): 201–234. doi:10.1146/annurev-economics-063016-103705. ^ Birrell, Bob (8 March 2016). "Australia's Skilled Migration Program: Scarce Skills Not Required" (PDF). The Australian Population Research Institute. Monash University. Retrieved 15 June 2018. The great majority of those visaed in the skill program are professionals, an increasing share of whom hold occupations that are oversupplied. ^ Bound, John; Khanna, Gaurav; Morales, Nicolas (2017-05-19). "Reservoir of foreign talent". Science. 356 (6339): 697. doi:10.1126/science.aan2956. ISSN 0036-8075. PMID 28522491. ^ Ottaviano, Gianmarco I. P.; Peri, Giovanni (1 January 2006). "The economic value of cultural diversity: evidence from US cities". Journal of Economic Geography. 6 (1): 9–44. doi:10.1093/jeg/lbi002. ISSN 1468-2702. ^ Peri, Giovanni (7 October 2010). "The Effect Of Immigration On Productivity: Evidence From U.S. States". Review of Economics and Statistics. 94 (1): 348–358. doi:10.1162/REST_a_00137. ISSN 0034-6535. ^ a b Razin, Assaf (February 2018). "Israel's Immigration Story: Winners and Losers". NBER Working Paper No. 24283. doi:10.3386/w24283. ^ a b Ottaviano, Gianmarco I. P.; Perie, Giovanni; Wright, Greg C. (2018). "Immigration, Trade and Productivity in Services: Evidence from U.K. Firms". Journal of International Economics. Forthcoming: 88–108. doi:10.1016/j.jinteco.2018.02.007. ^ Alesina, Alberto; Harnoss, Johann; Rapoport, Hillel (17 February 2016). "Birthplace diversity and economic prosperity". Journal of Economic Growth (Submitted manuscript). 21 (2): 101–138. doi:10.1007/s10887-016-9127-6. ISSN 1381-4338. ^ "Multiculturalism and Growth: Skill-Specific Evidence from the Post-World War II Period" (PDF). ^ Bove, Vincenzo; Elia, Leandro (2017-01-01). "Migration, Diversity, and Economic Growth". World Development. 89: 227–239. doi:10.1016/j.worlddev.2016.08.012. ^ Bove, Vincenzo; Elia, Leandro (2016-11-16). "Cultural heterogeneity and economic development". VoxEU.org. Retrieved 2016-11-16. ^ Boubtane, Ekrame; Dumont, Jean-Christophe; Rault, Christophe (2016-04-01). "Immigration and economic growth in the OECD countries 1986–2006". Oxford Economic Papers. 68 (2): 340–360. doi:10.1093/oep/gpw001. ISSN 0030-7653. ^ Qian, Nancy; Nunn, Nathan; Sequeira, Sandra. "Immigrants and the Making of America". The Review of Economic Studies. doi:10.1093/restud/rdz003. ^ SÁNCHEZ-ALONSO, BLANCA (2018-11-11). "The age of mass migration in Latin America". The Economic History Review. doi:10.1111/ehr.12787. ISSN 0013-0117. ^ Clemens, Michael A.; Montenegro, Claudio; Pritchett, Lant (2018-11-02). "The Place Premium: Bounding the Price Equivalent of Migration Barriers". The Review of Economics and Statistics. doi:10.1162/rest_a_00776. ISSN 0034-6535. ^ Aner, Emilie; Graneli, Anna; Lodefolk, Magnus (14 October 2015). "Cross-border movement of persons stimulates trade". VoxEU.org. Centre for Economic Policy Research. Retrieved 19 October 2015. ^ Bratti, Massimiliano; Benedictis, Luca De; Santoni, Gianluca (18 April 2014). "On the pro-trade effects of immigrants". Review of World Economics. 150 (3): 557–594. doi:10.1007/s10290-014-0191-8. ISSN 1610-2878. ^ Foley, C. Fritz; Kerr, William R. (2013). "Ethnic Innovation and U.S. Multinational Firm Activity". Management Science. 59 (7): 1529–1544. CiteSeerX 10.1.1.361.36. doi:10.1287/mnsc.1120.1684. ^ Dunlevy, James A.; Hutchinson, William K. (December 1999). "The Impact of Immigration on American Import Trade in the Late Nineteenth and Early Twentieth Centuries". The Journal of Economic History. 59 (4): 1043–1062. doi:10.1017/S002205070002413X. ISSN 1471-6372. ^ a b Parsons, Christopher; Vézina, Pierre-Louis (2018). "Migrant Networks and Trade: The Vietnamese Boat People as a Natural Experiment". The Economic Journal. 128 (612): F210–F234. doi:10.1111/ecoj.12457. hdl:10419/145246. ISSN 1468-0297. ^ Kugler, Maurice; Levintal, Oren; Rapoport, Hillel (2017). "Migration and Cross-Border Financial Flows". The World Bank Economic Review. 32: 148–162. doi:10.1093/wber/lhx007. hdl:10419/90017. ^ Egger, Peter H.; Erhardt, Katharina; Lassmann, Andrea (2018). "Immigration and Firms' Integration in International Production Networks". European Economic Review. 111: 1–34. doi:10.1016/j.euroecorev.2018.08.009. ISSN 0014-2921. ^ Burchardi, Konrad B.; Chaney, Thomas; Hassan, Tarek A. (January 2016). "Migrants, Ancestors, and Investments". NBER Working Paper No. 21847. doi:10.3386/w21847. ^ Ager, Philipp; Brueckner, Markus (2017). "Immigrants' Genes: Genetic Diversity and Economic Development in the United States". Economic Inquiry. 56 (2): 1149–1164. doi:10.1111/ecin.12540. ISSN 1465-7295. ^ a b Basso, Gaetano; Peri, Giovanni; Rahman, Ahmed (October 2017). "Computerization and Immigration: Theory and Evidence from the United States". NBER Working Paper No. 23935. doi:10.3386/w23935. ^ a b Basso, Gaetano; Peri, Giovanni; Rahman, Ahmed (2018-01-12). "The impact of immigration on wage distributions in the era of technical automation". VoxEU.org. Retrieved 2018-01-12. ^ Clemens, Michael A.; Lewis, Ethan G.; Postel, Hannah M. (2018). "Immigration Restrictions as Active Labor Market Policy: Evidence from the Mexican Bracero Exclusion". American Economic Review. 108 (6): 1468–1487. doi:10.1257/aer.20170765. hdl:10419/161135. ISSN 0002-8282. PMC 6040835. PMID 30008480. ^ "One Sure Way to Hurt the U.S. Economy? Cut Immigration". Bloomberg.com. Retrieved 2018-07-22. ^ Ager, Philipp; Hansen, Casper Worm (2016-11-08). "National Immigration Quotas and Local Economic Growth". Rochester, NY. ^ Card, David (1 April 2009). "Immigration and Inequality". American Economic Review. 99 (2): 1–21. CiteSeerX 10.1.1.412.9244. doi:10.1257/aer.99.2.1. ISSN 0002-8282. ^ Green, Alan G.; Green, David A. (2016-06-01). "Immigration and the Canadian Earnings Distribution in the First Half of the Twentieth Century". The Journal of Economic History. 76 (2): 387–426. doi:10.1017/S0022050716000541. ISSN 1471-6372. ^ Xu, Ping; Garand, James C.; Zhu, Ling (23 September 2015). "Imported Inequality? Immigration and Income Inequality in the American States". State Politics & Policy Quarterly (Submitted manuscript). 16 (2): 1532440015603814. doi:10.1177/1532440015603814. ISSN 1532-4400. ^ a b Glen Weyl, E. (2018-01-17). "The Openness-equality Trade-off in Global Redistribution". The Economic Journal. 128 (612): F1–F36. doi:10.1111/ecoj.12469. ISSN 0013-0133. ^ "How Do Migration and Remittances Affect Inequality? A Case Study of Mexico". IMF. Retrieved 2018-08-18. ^ a b "The Impact of Unauthorized Immigrants on the Budgets of State and Local Governments". 2007-12-06. Retrieved 2016-06-28. ^ a b d’Albis, Hippolyte; Boubtane, Ekrame; Coulibaly, Dramane (2018-06-01). "Macroeconomic evidence suggests that asylum seekers are not a "burden" for Western European countries". Science Advances. 4 (6): eaaq0883. doi:10.1126/sciadv.aaq0883. ISSN 2375-2548. PMC 6010334. PMID 29938219. ^ a b Maxmen, Amy (2018-06-20). "Migrants and refugees are good for economies". Nature. doi:10.1038/d41586-018-05507-0. ISSN 0028-0836. ^ Martinsen, Dorte Sindbjerg; Pons Rotger, Gabriel (2017-07-05). "The fiscal impact of EU immigration on the tax-financed welfare state: Testing the 'welfare burden' thesis". European Union Politics. 18 (4): 1465116517717340. doi:10.1177/1465116517717340. ISSN 1465-1165. ^ "The Fiscal Impact of Immigration in the UK". Migration Observatory. Retrieved 2017-07-06. ^ Ruhs, Martin; Wadsworth, Jonathan (2017-10-10). "The Impact of Acquiring Unrestricted Work Authorization on Romanian and Bulgarian Migrants in the United Kingdom". ILR Review. 71 (4): 823–852. doi:10.1177/0019793917735100. ISSN 0019-7939. ^ "Immigration and Government Spending in OECD Countries". ^ "Refugees in Germany | IGM Forum". www.igmchicago.org. Retrieved 2017-07-25. ^ Taylor, J. Edward; Filipski, Mateusz J.; Alloush, Mohamad; Gupta, Anubhab; Valdes, Ruben Irvin Rojas; Gonzalez-Estrada, Ernesto (2016-07-05). "Economic impact of refugees". Proceedings of the National Academy of Sciences. 113 (27): 7449–7453. doi:10.1073/pnas.1604566113. ISSN 0027-8424. PMC 4941434. PMID 27325782. ^ "Refugee Economies: Rethinking Popular Assumptions – Refugee Studies Centre". www.rsc.ox.ac.uk. Retrieved 1 January 2016. ^ "Economic Impact of Refugees in the Cleveland Area" (PDF). ^ Cortes, Kalena E. (1 March 2004). "Are Refugees Different from Economic Immigrants? Some Empirical Evidence on the Heterogeneity of Immigrant Groups in the United States". Rochester, NY. SSRN 524605. ^ "Much ado about nothing? The economic impact of refugee 'invasions'". The Brookings Institution. Retrieved 2 January 2016. ^ Del Carpio, Ximena V.; Wagner, Mathis (24 August 2015). The Impact of Syrians Refugees on the Turkish Labor Market. Policy Research Working Papers. The World Bank. doi:10.1596/1813-9450-7402. ISSN 1813-9450. ^ Maystadt, Jean-François; Verwimp, Philip (2014). "Winners and Losers among a Refugee-Hosting Population". Economic Development and Cultural Change (Submitted manuscript). 62 (4): 769–809. doi:10.1086/676458. JSTOR 10.1086/676458. ^ Balkan, Binnur; Tumen, Semih (15 February 2016). "Immigration and prices: quasi-experimental evidence from Syrian refugees in Turkey" (PDF). Journal of Population Economics. 29 (3): 657–686. doi:10.1007/s00148-016-0583-2. hdl:10419/130340. ISSN 0933-1433. Retrieved 13 October 2018. ^ Ruist, Joakim (2013). "The labor market impact of refugee immigration in Sweden 1999–2007" (PDF). SU.se (Working paper). The Stockholm University Linnaeus Center for Integration Studies. Retrieved 13 May 2016. ^ Fakih, Ali; Ibrahim, May (2 January 2016). "The impact of Syrian refugees on the labor market in neighboring countries: empirical evidence from Jordan". Defence and Peace Economics. 27 (1): 64–86. doi:10.1080/10242694.2015.1055936. hdl:10419/130351. ISSN 1024-2694. ^ "What are the impacts of Syrian refugees on host community welfare in Turkey ? a subnational poverty analysis (English) | The World Bank". documents.worldbank.org. 2016-01-28. pp. 1–38. Retrieved 15 February 2016. ^ Tumen, Semih (2016-05-01). "The Economic Impact of Syrian Refugees on Host Countries: Quasi-Experimental Evidence from Turkey". American Economic Review. 106 (5): 456–460. doi:10.1257/aer.p20161065. ISSN 0002-8282. ^ Clemens, Michael A.; Hunt, Jennifer (May 2017). "The Labor Market Effects of Refugee Waves: Reconciling Conflicting Results". NBER Working Paper No. 23433. doi:10.3386/w23433. ^ a b c d e Evans, William N.; Fitzgerald, Daniel (June 2017). "The Economic and Social Outcomes of Refugees in the United States: Evidence from the ACS". NBER Working Paper No. 23498. doi:10.3386/w23498. ^ Azarnert, Leonid V. (2018). "Refugee resettlement, redistribution and growth". European Journal of Political Economy. 54: 89–98. doi:10.1016/j.ejpoleco.2018.03.007. hdl:10419/162191. ISSN 0176-2680. ^ "The Real Economic Cost of Accepting Refugees". Center For Global Development. Retrieved 2017-09-16. ^ Davis, Julie Hirschfeld; Sengupta, Somini (2017-09-18). "Trump Administration Rejects Study Showing Positive Impact of Refugees". The New York Times. ISSN 0362-4331. Retrieved 2017-09-19. ^ "No reasons to reject refugees". SoundCloud. Retrieved 27 January 2016. ^ Mayda, Anna Maria; Parsons, Chris; Peri, Giovanni; Wagner, Mathis (August 2017). "The Labor Market Impact of Refugees: Evidence from the U.S. Resettlement Program" (PDF). OCE Working Paper 2017-04. ^ Bevelander, Pieter; Malmö, University of (2016-05-01). "Integrating refugees into labor markets". IZA World of Labor. doi:10.15185/izawol.269. ^ a b Bauer, Thomas K.; Braun, Sebastian; Kvasnicka, Michael (2013-09-01). "The Economic Integration of Forced Migrants: Evidence for Post-War Germany". The Economic Journal. 123 (571): 998–1024. doi:10.1111/ecoj.12023. hdl:10419/61358. ISSN 1468-0297. ^ Mäkelä, Erik (2017-09-01). "The effect of mass influx on labor markets: Portuguese 1974 evidence revisited". European Economic Review. 98: 240–263. doi:10.1016/j.euroecorev.2017.06.016. ^ Murard, Elie; Sakalli, Seyhun Orcan (June 2018). "Mass Refugee Inflow and Long-Run Prosperity: Lessons from the Greek Population Resettlement". IZA Discussion Papers (11613). Retrieved 13 October 2018. 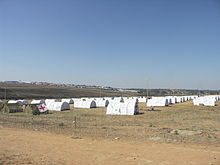 ^ Palivos, Theodore (4 June 2008). "Welfare effects of illegal immigration". Journal of Population Economics. 22 (1): 131–144. doi:10.1007/s00148-007-0182-3. ISSN 0933-1433. ^ Liu, Xiangbo (1 December 2010). "On the macroeconomic and welfare effects of illegal immigration". Journal of Economic Dynamics and Control. 34 (12): 2547–2567. doi:10.1016/j.jedc.2010.06.030. ^ a b c Monras, Joan; Vázquez-Grenno, Javier; Elias, Ferran (2018-05-15). "Understanding the effects of legalising undocumented immigrants". VoxEU.org. Retrieved 2018-05-16. ^ "The Economic Effects of Granting Legal Status and Citizenship to Undocumented Immigrants" (PDF). ^ Edwards, Ryan; Ortega, Francesc (November 2016). "The Economic Contribution of Unauthorized Workers: An Industry Analysis". NBER Working Paper No. 22834. doi:10.3386/w22834. ^ Chassamboulli, Andri; Peri, Giovanni (2018). "The Economic Effect of Immigration Policies: Analyzing and Simulating the U.S. Case". doi:10.3386/w25074. ^ Amuedo-Dorantes, Catalina; Arenas-Arroyo, Esther; Sevilla, Almudena (2018). "Immigration enforcement and economic resources of children with likely unauthorized parents". Journal of Public Economics. 158: 63–78. doi:10.1016/j.jpubeco.2017.12.004. ^ "Do Apprehensions of Undocumented Immigrants Reduce Crime and Create Jobs? Evidence from U.S. Districts, 2000-2015" (PDF). UC Davis Law Review. 2018. ^ Milanovic, Branko (20 April 2016). "There is a trade-off between citizenship and migration". Financial Times. ISSN 0307-1766. Retrieved 21 April 2016. ^ Clemens, Michael (15 January 2009). "The Place Premium: Wage Differences for Identical Workers Across the US Border". ^ Walmsley, Terrie L.; Winters, L. Alan (1 January 2005). "Relaxing the Restrictions on the Temporary Movement of Natural Persons: A Simulation Analysis". Journal of Economic Integration. 20 (4): 688–726. doi:10.11130/jei.2005.20.4.688. JSTOR 23000667. ^ McKenzie, David; Stillman, Steven; Gibson, John (1 June 2010). "How Important is Selection? Experimental VS. Non-Experimental Measures of the Income Gains from Migration". Journal of the European Economic Association. 8 (4): 913–945. doi:10.1111/j.1542-4774.2010.tb00544.x. hdl:10289/1638. ISSN 1542-4774. ^ a b Gibson, John; Mckenzie, David J.; Rohorua, Halahingano; Stillman, Steven (1 January 2015). "The long-term impacts of international migration : evidence from a lottery". The World Bank. ^ a b Gove, Michael (2017-04-18). "Migration as Development: Household Survey Evidence on Migrants' Wage Gains". Social Indicators Research. 137 (3): 1–28. doi:10.1007/s11205-017-1630-4. ISSN 0303-8300. ^ Ruhs, Martin (2017-02-01). "The Impact of Acquiring EU Status on the Earnings of East European Migrants in the UK: Evidence from a Quasi-Natural Experiment". British Journal of Industrial Relations. 55 (4): 716–750. doi:10.1111/bjir.12223. ISSN 1467-8543. ^ Hendricks, Lutz; Schoellman, Todd (2017). "Human Capital and Development Accounting: New Evidence from Wage Gains at Migration". The Quarterly Journal of Economics. 133 (2): 665–700. doi:10.1093/qje/qjx047. ^ Fairlie, Robert W.; Lofstrom, Magnus (2013-01-01). "Immigration and Entrepreneurship". IZA Discussion Papers (7669). ^ Ufuk, Akcigit,; John, Grigsby,; Tom, Nicholas, (2017-05-01). "Immigration and the Rise of American Ingenuity". American Economic Review. 107 (5): 327–331. doi:10.1257/aer.p20171021. ISSN 0002-8282. ^ Kerr, Sari Pekkala; Kerr, William R. (2017). "Immigrant Entrepreneurship". In Haltiwanger; Hurst; Miranda; Schoar. Measuring Entrepreneurial Businesses: Current Knowledge and Challenges. doi:10.3386/w22385. ^ Hunt, Jennifer; Gauthier-Loiselle, Marjolaine (2010-01-01). "How Much Does Immigration Boost Innovation?". American Economic Journal: Macroeconomics. 2 (2): 31–56. doi:10.1257/mac.2.2.31. JSTOR 25760296. ^ Hornung, Erik (2014). "Immigration and the Diffusion of Technology: The Huguenot Diaspora in Prussia". American Economic Review. 104 (1): 84–122. doi:10.1257/aer.104.1.84. hdl:10419/37227. ^ Hornung, Erik (2018). "Diasporas, Diversity, and Economic Activity: Evidence from 18th-century Berlin". Explorations in Economic History. doi:10.1016/j.eeh.2018.10.001. ISSN 0014-4983. ^ de Vries, Jan (October 1976). The Economy of Europe in an Age of Crisis, 1600–1750. Cambridge University Press. pp. 87–88. doi:10.1017/cbo9781107049772. ISBN 9780521211239. ^ Moser, Petra; Voena, Alessandra; Waldinger, Fabian (2014). "German Jewish Émigrés and US Invention". American Economic Review. 104 (10): 3222–3255. doi:10.1257/aer.104.10.3222. ^ Harris, Rachel Anne. "The Mariel Boatlift – A Natural Experiment in Low-Skilled Immigration and Innovation" (PDF). Archived from the original (PDF) on 2016-02-17. ^ Droller, Federico (2017-03-01). "Migration, Population Composition, and Long Run Economic Development: Evidence from Settlements in the Pampas". The Economic Journal. 128 (614): 2321–2352. doi:10.1111/ecoj.12505. ISSN 1468-0297. ^ School, Harvard Kennedy. "The Workforce of Pioneer Plants". www.hks.harvard.edu. Retrieved 28 February 2016. ^ "Polish immigrants stimulate innovation in Germany". LSE Business Review. 2018-05-10. Retrieved 2018-09-30. ^ Bahar, Dany; Rapoport, Hillel (2018). "Migration, Knowledge Diffusion and the Comparative Advantage of Nations". The Economic Journal. 128 (612): F273–F305. doi:10.1111/ecoj.12450. hdl:10419/130392. ISSN 1468-0297. ^ Kerr, William R. (1 January 2010). "Breakthrough inventions and migrating clusters of innovation". Journal of Urban Economics. Special Issue: Cities and Entrepreneurship - Sponsored by the Ewing Marion Kauffman Foundation (www.kauffman.org). 67 (1): 46–60. CiteSeerX 10.1.1.461.9614. doi:10.1016/j.jue.2009.09.006. ^ Khanna, Gaurav; Lee, Munseob (2018). "High-Skill Immigration, Innovation, and Creative Destruction". ^ Kerr, William (2018). "The Gift of Global Talent: How Migration Shapes Business, Economy & Society". Stanford University Press. ^ "Immigrants and Billion Dollar Startups" (PDF). ^ Brown, J. David; Earle, John S; Kim, Mee Jung; Lee, Kyung Min (2019). "Immigrant Entrepreneurs and Innovation in the U.S. High-Tech Sector". doi:10.3386/w25565. ^ "Skilled Emigration and Skill Creation: A quasi-experiment - Working Paper 152". Retrieved 2016-07-03. ^ Stuen, Eric T.; Mobarak, Ahmed Mushfiq; Maskus, Keith E. (1 December 2012). "Skilled Immigration and Innovation: Evidence from Enrollment Fluctuations in US Doctoral Programmes". The Economic Journal. 122 (565): 1143–1176. CiteSeerX 10.1.1.712.2787. doi:10.1111/j.1468-0297.2012.02543.x. ISSN 1468-0297. ^ "Immigrants Play a Key Role in STEM Fields". ^ Clark, J.R.; Lawson, Robert; Nowrasteh, Alex; Powell, Benjamin; Murphy, Ryan (June 2015). "Does immigration impact institutions?". Public Choice. 163 (3): 321–335. doi:10.1007/s11127-015-0254-y. ^ Powell, Benjamin; Clark, J. R.; Nowrasteh, Alex (2016-11-17). "Does Mass Immigration Destroy Institutions? 1990s Israel as a Natural Experiment". Rochester, NY: Social Science Research Network. SSRN 2871406. ^ Nikolova, Elena (2017-01-01). "Destined for Democracy? Labour Markets and Political Change in Colonial British America". British Journal of Political Science. 47 (1): 19–45. doi:10.1017/S0007123415000101. ISSN 0007-1234. ^ Nikolova, Elena; Nikolova, Milena (2017-09-01). "Suffrage, labour markets and coalitions in colonial Virginia". European Journal of Political Economy. 49: 108–122. doi:10.1016/j.ejpoleco.2017.01.002. hdl:10419/147912. ^ Padilla, Alexandre; Cachanosky, Nicolás (2018-02-05). "The Grecian horse: does immigration lead to the deterioration of American institutions?". Public Choice. 174 (3–4): 1–55. doi:10.1007/s11127-018-0509-5. ISSN 0048-5829. ^ Fighting Poverty in the US and Europe: A World of Difference. scholar.harvard.edu. Oxford University Press. 2004. Retrieved 14 January 2016. ^ Schmidt-Catran, Alexander W.; Spies, Dennis C. (4 March 2016). "Immigration and Welfare Support in Germany". American Sociological Review. 81 (2): 0003122416633140. doi:10.1177/0003122416633140. ISSN 0003-1224. ^ Lee, Woojin; Roemer, John E. (2006-08-01). "Racism and redistribution in the United States: A solution to the problem of American exceptionalism". Journal of Public Economics. 90 (6): 1027–1052. doi:10.1016/j.jpubeco.2005.08.008. ^ Alesina, Alberto; Glaeser, Edward (2004). Fighting Poverty in the US and Europe: A World of Difference - Oxford Scholarship. doi:10.1093/0199267669.001.0001. ISBN 9780199267668. ^ Freeman, G. P. (2009). "Immigration, Diversity, and Welfare Chauvinism". The Forum. 7 (3). doi:10.2202/1540-8884.1317. ^ a b c Wimmer, Andreas (28 July 2015). "Is Diversity Detrimental? Ethnic Fractionalization, Public Goods Provision, and the Historical Legacies of Stateness". Comparative Political Studies. 49 (11): 1407–1445. doi:10.1177/0010414015592645. ISSN 0010-4140. ^ a b Kymlicka, Will; Banting, Keith (1 September 2006). "Immigration, Multiculturalism, and the Welfare State". Ethics & International Affairs. 20 (3): 281–304. doi:10.1111/j.1747-7093.2006.00027.x. ISSN 1747-7093. ^ Kustov, Alexander; Pardelli, Giuliana (2018). "Ethnoracial Homogeneity and Public Outcomes: The (Non)effects of Diversity". American Political Science Review. 112 (4): 1–8. doi:10.1017/S0003055418000308. ISSN 0003-0554. ^ Garand, James C.; Xu, Ping; Davis, Belinda C. (1 December 2015). "Immigration Attitudes and Support for the Welfare State in the American Mass Public". American Journal of Political Science. 61: 146–162. doi:10.1111/ajps.12233. ISSN 1540-5907. ^ Hunt, Jennifer (2016-09-02). "The Impact of Immigration on the Educational Attainment of Natives". Journal of Human Resources. 52 (4): 0115–6913R1. doi:10.3368/jhr.52.4.0115-6913R1. hdl:10419/67241. ISSN 0022-166X. ^ Geay, Charlotte; McNally, Sandra; Telhaj, Shqiponja (1 August 2013). "Non-native Speakers of English in the Classroom: What Are the Effects on Pupil Performance?". The Economic Journal. 123 (570): F281–F307. doi:10.1111/ecoj.12054. ISSN 1468-0297. ^ Ohinata, Asako; van Ours, Jan C. (1 August 2013). "How Immigrant Children Affect the Academic Achievement of Native Dutch Children". The Economic Journal. 123 (570): F308–F331. doi:10.1111/ecoj.12052. ISSN 1468-0297. ^ Schneeweis, Nicole (1 August 2015). "Immigrant concentration in schools: Consequences for native and migrant students". Labour Economics. 35: 63–76. doi:10.1016/j.labeco.2015.03.004. hdl:10419/115095. ^ Diette, Timothy M.; Uwaifo Oyelere, Ruth (January 2016). "Gender and Racial Differences in Peer Effects of Limited English Students: A Story of Language or Ethnicity?". IZA Discussion Papers (9661). Retrieved 21 January 2016. ^ "Unwelcome Guests? The Effects of Refugees on the Educational Outcomes of Incumbent Students". Journal of Labor Economics. 2019. doi:10.1086/703116. Retrieved 2019-03-01. ^ Bossavie, Laurent (2018-09-05). "The Effect of Immigration on Natives' School Performance: Does Length of Stay in the Host Country Matter?". Journal of Human Resources: 1017–9151R2. doi:10.3368/jhr.55.3.1017-9151R2. ISSN 0022-166X. ^ "The effect of immigrant peers in vocational schools#". European Economic Review. 2018-12-25. doi:10.1016/j.euroecorev.2018.12.005. ISSN 0014-2921. ^ a b Duncan, Brian; Trejo, Stephen J (2011). "Tracking Intergenerational Progress for Immigrant Groups: The Problem of Ethnic Attrition". American Economic Review. 101 (3): 603–608. doi:10.1257/aer.101.3.603. ^ Alba, Richard; Islam, Tariqul (1 January 2009). "The Case of the Disappearing Mexican Americans: An Ethnic-Identity Mystery". Population Research and Policy Review. 28 (2): 109–121. doi:10.1007/s11113-008-9081-x. JSTOR 20616620. ^ Duncan, Brian; Trejo, Stephen (2017). "The Complexity of Immigrant Generations: Implications for Assessing the Socioeconomic Integration of Hispanics and Asians". ILR Review. 70 (5): 1146–1175. CiteSeerX 10.1.1.403.8151. doi:10.1177/0019793916679613. PMC 5602570. PMID 28935997. ^ "Achieving the American Dream: Cultural Distance, Cultural Diversity and Economic Performance | Oxford Economic and Social History Working Papers | Working Papers". www.economics.ox.ac.uk. Retrieved 18 May 2016. ^ Orrenius, Pia; Zavodny, Madeline; Kerr, Emily (June 2012). "Chinese Immigrants in the U.S. Labor Market: Effects of Post-Tiananmen Immigration Policy". International Migration Review. 46 (2): 456–482. doi:10.1111/j.1747-7379.2012.00893.x. ISSN 0197-9183. ^ Alexander, Rohan; Ward, Zachary (2018). "Age at Arrival and Assimilation During the Age of Mass Migration". The Journal of Economic History. 78 (3): 904–937. doi:10.1017/S0022050718000335. ISSN 0022-0507. ^ Bohlen, Celestine (25 January 2016). "Study Finds Children of Immigrants Embracing 'Frenchness'". The New York Times. ISSN 0362-4331. Retrieved 19 April 2016. ^ a b Röder, Antje; Mühlau, Peter (1 March 2014). "Are They Acculturating? Europe's Immigrants and Gender Egalitarianism". Social Forces. 92 (3): 899–928. doi:10.1093/sf/sot126. ISSN 0037-7732. ^ a b Spierings, Niels (16 April 2015). "Gender Equality Attitudes among Turks in Western Europe and Turkey: The Interrelated Impact of Migration and Parents' Attitudes". Journal of Ethnic and Migration Studies. 41 (5): 749–771. doi:10.1080/1369183X.2014.948394. ISSN 1369-183X. ^ Fleischmann, Fenella; Kristen, Cornelia; Contributions, With; Research, Including the Provision of Data and Analyses Instrumental to The; by; Heath, Anthony F.; Brinbaum, Yaël; Deboosere, Patrick; Granato, Nadia (1 July 2014). "Gender Inequalities in the Education of the Second Generation in Western Countries". Sociology of Education (Submitted manuscript). 87 (3): 143–170. doi:10.1177/0038040714537836. hdl:1874/301991. ISSN 0038-0407. ^ Hainmueller, Jens; Hangartner, Dominik; Pietrantuono, Giuseppe (2017-02-01). "Catalyst or Crown: Does Naturalization Promote the Long-Term Social Integration of Immigrants?". American Political Science Review. 111 (2): 1–21. doi:10.1017/S0003055416000745. ISSN 0003-0554. ^ "Citizenship Increases the Long-Term Earnings of Marginalized Immigrants". Immigration Policy Lab. Retrieved 2019-03-01. ^ a b Röder, Antje (1 December 2015). "Immigrants' Attitudes toward Homosexuality: Socialization, Religion, and Acculturation in European Host Societies". International Migration Review. 49 (4): 1042–1070. doi:10.1111/imre.12113. ISSN 1747-7379. ^ Mesoudi, Alex; Magid, Kesson; Hussain, Delwar (13 January 2016). "How Do People Become W.E.I.R.D.? Migration Reveals the Cultural Transmission Mechanisms Underlying Variation in Psychological Processes". PLoS ONE. 11 (1): e0147162. doi:10.1371/journal.pone.0147162. PMC 4711941. PMID 26760972. ^ Avitabile, Ciro; Clots-Figueras, Irma; Masella, Paolo (1 August 2013). "The Effect of Birthright Citizenship on Parental Integration Outcomes". The Journal of Law and Economics. 56 (3): 777–810. doi:10.1086/673266. ISSN 0022-2186. ^ Gathmann, Christina; Keller, Nicolas (2017). "Access to Citizenship and the Economic Assimilation of Immigrants". The Economic Journal: n/a. doi:10.1111/ecoj.12546. ISSN 1468-0297. ^ Gathmann, Christina (2015-02-01). "Naturalization and citizenship: Who benefits?". IZA World of Labor. doi:10.15185/izawol.125. ^ Slotwinski, Michaela; Stutzer, Alois; Gorinas, Cédric (2017-02-27). "Democratic Involvement and Immigrants' Compliance with the Law". Rochester, NY. SSRN 2923633. ^ Damm, Anna Piil; Dustmann, Christian (2014). "Does Growing Up in a High Crime Neighborhood Affect Youth Criminal Behavior?". American Economic Review (Submitted manuscript). 104 (6): 1806–1832. doi:10.1257/aer.104.6.1806. ^ Åslund, Olof; Edin, Per-Anders; Fredriksson, Peter; Grönqvist, Hans (2011). "Peers, Neighborhoods, and Immigrant Student Achievement: Evidence from a Placement Policy". American Economic Journal: Applied Economics. 3 (2): 67–95. doi:10.1257/app.3.2.67. hdl:2445/116663. ^ Damm, Anna Piil (1 January 2014). "Neighborhood quality and labor market outcomes: Evidence from quasi-random neighborhood assignment of immigrants". Journal of Urban Economics. Spatial Dimensions of Labor Markets. 79: 139–166. doi:10.1016/j.jue.2013.08.004. ^ Damm, Anna Piil (1 April 2009). "Ethnic Enclaves and Immigrant Labor Market Outcomes: Quasi‐Experimental Evidence". Journal of Labor Economics. 27 (2): 281–314. doi:10.1086/599336. ISSN 0734-306X. ^ Edin, Per-Anders; Fredriksson, Peter; Åslund, Olof (1 February 2003). "Ethnic Enclaves and the Economic Success of Immigrants—Evidence from a Natural Experiment". The Quarterly Journal of Economics. 118 (1): 329–357. doi:10.1162/00335530360535225. hdl:10419/82170. ISSN 0033-5533. ^ Jones, Will; Teytelboym, Alexander (2017). "The Local Refugee Match: Aligning Refugees' Preferences with the Capacities and Priorities of Localities". Journal of Refugee Studies. 31 (2): 152–178. doi:10.1093/jrs/fex022. ^ Cappellari, Lorenzo; Di Paolo, Antonio (October 2015). "Bilingual Schooling and Earnings: Evidence from a Language-in-Education Reform". IZA Discussion Papers (9431). Retrieved 22 March 2016. ^ Adida, Claire L.; Laitin, David D.; Valfort, Marie-Anne (2017-02-01). "The Wrong Way to Stop Terrorism". Foreign Affairs. ^ "AdidaLaitinValfort2017_ForeignAffairs.pdf". Google Docs. Retrieved 2017-02-04. ^ Coversi; et al. (2017). "Despite the crisis: The resilience of intercultural nationalism in Catalonia". International Migration. 55 (2): 53. ^ Ferwerda, Jeremy; Finseraas, Henning; Bergh, Johannes (2018). "Voting Rights and Immigrant Incorporation: Evidence from Norway". British Journal of Political Science: 1–18. doi:10.1017/S0007123417000643. ISSN 0007-1234. ^ "The effect of language training on immigrants' economic integration: Empirical evidence from France". www.sciencedirect.com. 2019. Retrieved 2019-03-16. ^ Algan, Yann; Hémet, Camille; Laitin, David D. (4 May 2016). "The Social Effects of Ethnic Diversity at the Local Level: A Natural Experiment with Exogenous Residential Allocation". Journal of Political Economy. 124 (3): 000. doi:10.1086/686010. ISSN 0022-3808. ^ Levy, Morris (1 December 2015). "The Effect of Immigration from Mexico on Social Capital in the United States". International Migration Review. 51 (3): 757–788. doi:10.1111/imre.12231. ISSN 1747-7379. ^ Xu, Xu; Jin, Xin (2018). "The autocratic roots of social distrust". Journal of Comparative Economics. 46 (1): 362–380. doi:10.1016/j.jce.2017.12.002. ISSN 0147-5967. ^ a b Giuntella, Osea (2014). "Do immigrants improve the health of native workers?". Iza World of Labor. doi:10.15185/izawol.102. Retrieved 15 February 2016. ^ a b Giuntella, Osea; Nicodemo, Catia; Vargas-Silva, Carlos (2018-03-01). "The effects of immigration on NHS waiting times". Journal of Health Economics. 58: 123–143. doi:10.1016/j.jhealeco.2018.02.001. ISSN 0167-6296. PMID 29477952. ^ Abubakar, Ibrahim; Friedland, Jon S.; Tollman, Stephen; Miranda, J. Jaime; Hargreaves, Sally; Burns, Rachel; Patel, Parth; Barr, Anna Louise; Bartlett, Sean (2018-12-05). "Global patterns of mortality in international migrants: a systematic review and meta-analysis". The Lancet. 0 (0). doi:10.1016/S0140-6736(18)32781-8. ISSN 1474-547X. ^ Sá, Filipa (2015-09-01). "Immigration and House Prices in the UK". The Economic Journal. 125 (587): 1393–1424. doi:10.1111/ecoj.12158. hdl:10419/51818. ISSN 1468-0297. ^ Papadopoulos, Georgios (2014-07-02). "Immigration status and property crime: an application of estimators for underreported outcomes". IZA Journal of Migration. 3 (1): 12. doi:10.1186/2193-9039-3-12. ISSN 2193-9039. ^ Bianchi, Milo; Buonanno, Paolo; Pinotti, Paolo (2012-12-01). "Do Immigrants Cause Crime?". Journal of the European Economic Association. 10 (6): 1318–1347. doi:10.1111/j.1542-4774.2012.01085.x. ISSN 1542-4774. ^ a b Nunziata, Luca (2015-03-04). "Immigration and crime: evidence from victimization data". Journal of Population Economics. 28 (3): 697–736. doi:10.1007/s00148-015-0543-2. ISSN 0933-1433. ^ Jaitman, Laura; Machin, Stephen (2013-10-25). "Crime and immigration: new evidence from England and Wales". IZA Journal of Migration. 2 (1): 19. doi:10.1186/2193-9039-2-19. ISSN 2193-9039. ^ Bell, Brian; Fasani, Francesco; Machin, Stephen (2012-10-10). "Crime and Immigration: Evidence from Large Immigrant Waves". Review of Economics and Statistics. 95 (4): 1278–1290. doi:10.1162/REST_a_00337. ISSN 0034-6535. ^ Bell, Brian; Machin, Stephen (2013-02-01). "Immigrant Enclaves and Crime". Journal of Regional Science. 53 (1): 118–141. doi:10.1111/jors.12003. ISSN 1467-9787. ^ Ousey, Graham C.; Kubrin, Charis E. (2018). "Immigration and Crime: Assessing a Contentious Issue". Annual Review of Criminology. 1 (1): null. doi:10.1146/annurev-criminol-032317-092026. ^ Hooghe, Marc; de Vroome, Thomas (2016-01-01). "The relation between ethnic diversity and fear of crime: An analysis of police records and survey data in Belgian communities". International Journal of Intercultural Relations. 50: 66–75. doi:10.1016/j.ijintrel.2015.11.002. ^ "America's puzzling moral ambivalence about Middle East refugees | Brookings Institution". Brookings. 2016-06-28. Retrieved 2017-01-26. ^ Bell, Brian; Oxford, University of; UK (2014). "Crime and immigration". IZA World of Labor. doi:10.15185/izawol.33. ^ Crocitti, Stefania (2014). Immigration, Crime, and Criminalization in Italy – Oxford Handbooks. doi:10.1093/oxfordhb/9780199859016.013.029. ^ West, Jeremy (February 2018). "Racial Bias in Police Investigations" (PDF). Working Paper. ^ Hällsten, Martin; Szulkin, Ryszard; Sarnecki, Jerzy (2013-05-01). "Crime as a Price of Inequality? The Gap in Registered Crime between Childhood Immigrants, Children of Immigrants and Children of Native Swedes". British Journal of Criminology. 53 (3): 456–481. doi:10.1093/bjc/azt005. ISSN 0007-0955. ^ Colombo, Asher (2013-11-01). "Foreigners and immigrants in Italy's penal and administrative detention systems". European Journal of Criminology. 10 (6): 746–759. doi:10.1177/1477370813495128. ISSN 1477-3708. ^ Parmar, Alpa (2014). Ethnicities, Racism, and Crime in England and Wales – Oxford Handbooks. doi:10.1093/oxfordhb/9780199859016.013.014. ^ "Centre for Economic Policy Research". cepr.org. Retrieved 2017-08-15. ^ Bove, Vincenzo; Böhmelt, Tobias (2016-02-11). "Does Immigration Induce Terrorism?". The Journal of Politics. 78 (2): 572–588. doi:10.1086/684679. ISSN 0022-3816. ^ a b "Diskriminering i rättsprocessen - Brå". www.bra.se (in Swedish). Retrieved 26 January 2016. ^ Hällsten, Martin; Szulkin, Ryszard; Sarnecki, Jerzy (1 May 2013). "Crime as a Price of Inequality? The Gap in Registered Crime between Childhood Immigrants, Children of Immigrants and Children of Native Swedes". British Journal of Criminology. 53 (3): 456–481. doi:10.1093/bjc/azt005. ISSN 0007-0955. ^ a b Crocitti, Stefania (2013). Immigration, Crime, and Criminalization in Italy - Oxford Handbooks. doi:10.1093/oxfordhb/9780199859016.013.029. ^ a b Colombo, Asher (1 November 2013). "Foreigners and immigrants in Italy's penal and administrative detention systems". European Journal of Criminology. 10 (6): 746–759. doi:10.1177/1477370813495128. ISSN 1477-3708. ^ Parmar, Alpa (2013). "Ethnicities, Racism, and Crime in England and Wales – Oxford Handbooks". The Oxford Handbook of Ethnicity, Crime, and Immigration. doi:10.1093/oxfordhb/9780199859016.013.014. ^ Holmberg, Lars; Kyvsgaard, Britta (2003). "Are Immigrants and Their Descendants Discriminated against in the Danish Criminal Justice System?". Journal of Scandinavian Studies in Criminology and Crime Prevention. 4 (2): 125–142. doi:10.1080/14043850310020027. ^ Roché, Sebastian; Gordon, Mirta B.; Depuiset, Marie-Aude (2013). "Case Study - Oxford Handbooks". The Oxford Handbook of Ethnicity, Crime, and Immigration. doi:10.1093/oxfordhb/9780199859016.013.030. ^ Light, Michael T. (1 March 2016). "The Punishment Consequences of Lacking National Membership in Germany, 1998–2010". Social Forces. 94 (3): 1385–1408. doi:10.1093/sf/sov084. ISSN 0037-7732. ^ Wermink, Hilde; Johnson, Brian D.; Nieuwbeerta, Paul; Keijser, Jan W. de (1 November 2015). "Expanding the scope of sentencing research: Determinants of juvenile and adult punishment in the Netherlands". European Journal of Criminology. 12 (6): 739–768. doi:10.1177/1477370815597253. ISSN 1477-3708. ^ Cettolin, Elena; Suetens, Sigrid (2018-07-18). "Return on Trust is Lower for Immigrants". The Economic Journal. doi:10.1111/ecoj.12629. ISSN 0013-0133. ^ a b Riach, P. A.; Rich, J. (1 November 2002). "Field Experiments of Discrimination in the Market Place". The Economic Journal. 112 (483): F480–F518. CiteSeerX 10.1.1.417.9100. doi:10.1111/1468-0297.00080. ISSN 1468-0297. ^ Ayres, Ian; Siegelman, Peter (1 January 1995). "Race and Gender Discrimination in Bargaining for a New Car". American Economic Review. 85 (3): 304–21. ^ Doleac, Jennifer L.; Stein, Luke C.D. (1 November 2013). "The Visible Hand: Race and Online Market Outcomes". The Economic Journal. 123 (572): F469–F492. doi:10.1111/ecoj.12082. ISSN 1468-0297. ^ Warren, Patricia Y.; Tomaskovic-Devey, Donald (1 May 2009). "Racial profiling and searches: Did the politics of racial profiling change police behavior?". Criminology & Public Policy. 8 (2): 343–369. doi:10.1111/j.1745-9133.2009.00556.x. ISSN 1745-9133. ^ a b West, Jeremy (November 2015). "Racial Bias in Police Investigations" (PDF). MIT.edu (Working paper). Massachusetts Institute of Technology. Archived from the original (PDF) on 7 March 2016. Retrieved 13 May 2016. ^ Donohue III, John J.; Levitt, Steven D. (1 January 2001). "The Impact of Race on Policing and Arrests". The Journal of Law & Economics. 44 (2): 367–394. doi:10.1086/322810. JSTOR 10.1086/322810. ^ Abrams, David S.; Bertrand, Marianne; Mullainathan, Sendhil (1 June 2012). "Do Judges Vary in Their Treatment of Race?". The Journal of Legal Studies. 41 (2): 347–383. doi:10.1086/666006. ISSN 0047-2530. ^ Mustard, David B. (1 April 2001). "Racial, Ethnic, and Gender Disparities in Sentencing: Evidence from the U.S. Federal Courts". The Journal of Law and Economics. 44 (1): 285–314. doi:10.1086/320276. ISSN 0022-2186. ^ a b Anwar, Shamena; Bayer, Patrick; Hjalmarsson, Randi (1 May 2012). "The Impact of Jury Race in Criminal Trials". The Quarterly Journal of Economics. 127 (2): 1017–1055. doi:10.1093/qje/qjs014. ISSN 0033-5533. ^ Daudistel, Howard C.; Hosch, Harmon M.; Holmes, Malcolm D.; Graves, Joseph B. (1 February 1999). "Effects of Defendant Ethnicity on Juries' Dispositions of Felony Cases". Journal of Applied Social Psychology. 29 (2): 317–336. doi:10.1111/j.1559-1816.1999.tb01389.x. ISSN 1559-1816. ^ a b Depew, Briggs; Eren, Ozkan; Mocan, Naci (2017). "Judges, Juveniles, and In-Group Bias". Journal of Law and Economics. 60 (2): 209–239. doi:10.1086/693822. ^ Milkman, Katherine L.; Akinola, Modupe; Chugh, Dolly (1 November 2015). "What happens before? A field experiment exploring how pay and representation differentially shape bias on the pathway into organizations". The Journal of Applied Psychology. 100 (6): 1678–1712. doi:10.1037/apl0000022. ISSN 1939-1854. PMID 25867167. ^ "Espenshade, T.J. and Radford, A.W. : No Longer Separate, Not Yet Equal: Race and Class in Elite College Admission and Campus Life. (eBook, Paperback and Hardcover)". press.princeton.edu. Retrieved 24 April 2016. ^ Alesina, Alberto; Carlana, Michela; Ferrara, Eliana La; Pinotti, Paolo (2018). "Revealing Stereotypes: Evidence from Immigrants in Schools". doi:10.3386/w25333. ^ Ondrich, Jan; Ross, Stephen; Yinger, John (1 November 2003). "Now You See It, Now You Don't: Why Do Real Estate Agents Withhold Available Houses from Black Customers?". Review of Economics and Statistics. 85 (4): 854–873. doi:10.1162/003465303772815772. ISSN 0034-6535. ^ "Housing Discrimination against Racial and Ethnic Minorities 2012: Full Report". www.urban.org. 2016-06-04. Retrieved 23 April 2016. ^ Bertrand, Marianne; Mullainathan, Sendhil (2004). "Are Emily and Greg More Employable Than Lakisha and Jamal? A Field Experiment on Labor Market Discrimination". American Economic Review. 94 (4): 991–1013. CiteSeerX 10.1.1.321.8621. doi:10.1257/0002828042002561. ^ Pager, Devah; Western, Bruce; Bonikowski, Bart (1 October 2009). "Discrimination in a Low-Wage Labor Market A Field Experiment". American Sociological Review. 74 (5): 777–799. doi:10.1177/000312240907400505. ISSN 0003-1224. PMC 2915472. PMID 20689685. ^ a b Ratha, Dilip; Silwal (2012). "Remittance flows in 2011" (PDF). Migration and Development Brief –Migration and Remittances Unit, the World Bank. 18: 1–3. ^ Adida, Claire L.; Girod, Desha M. (1 January 2011). "Do Migrants Improve Their Hometowns? Remittances and Access to Public Services in Mexico, 1995–2000". Comparative Political Studies. 44 (1): 3–27. doi:10.1177/0010414010381073. ISSN 0010-4140. ^ Xu, Rui. "High-Skilled Migration and Global Innovation" (PDF). Archived from the original (PDF) on 4 January 2016. ^ Clemens, Michael; Development, Center for Global; USA (2015). "Smart policy toward high-skill emigrants". IZA World of Labor. doi:10.15185/izawol.203. ^ Docquier, Frédéric; Lodigiani, Elisabetta; Rapoport, Hillel; Schiff, Maurice (1 May 2016). "Emigration and democracy". Journal of Development Economics. 120: 209–223. doi:10.1016/j.jdeveco.2015.12.001. ^ Escribà-Folch, Abel; Meseguer, Covadonga; Wright, Joseph (1 September 2015). "Remittances and Democratization". International Studies Quarterly. 59 (3): 571–586. doi:10.1111/isqu.12180. ISSN 1468-2478. ^ "Mounir Karadja". sites.google.com. Retrieved 20 September 2015. ^ "Can emigration lead to political change in poor countries? It did in 19th century Sweden: Guest Post by Mounir Karadja". Impact Evaluations. December 2015. Retrieved 4 December 2015. ^ Tuccio, Michele; Wahba, Jackline; Hamdouch, Bachir (1 January 2016). "International Migration: Driver of Political and Social Change?". IZA Discussion Papers (9794). Retrieved 13 October 2018. ^ "Migration, Political Institutions, and Social Networks in Mozambique". ^ Batista, Catia; Vicente, Pedro C. (1 January 2011). "Do Migrants Improve Governance at Home? Evidence from a Voting Experiment". The World Bank Economic Review. 25 (1): 77–104. doi:10.1093/wber/lhr009. hdl:10419/36182. ISSN 0258-6770. ^ Mahmoud, Omar; Toman; Rapoport, Hillel; Steinmayr, Andreas; Trebesch, Christoph (18 September 2013). "The Effect of Labor Migration on the Diffusion of Democracy: Evidence from a Former Soviet Republic". Rochester, NY: Social Science Research Network. SSRN 2327441. ^ Escribà-Folch, Abel; Meseguer, Covadonga; Wright, Joseph (2018-08-18). "Remittances and Protest in Dictatorships". American Journal of Political Science. 62 (4): 889–904. doi:10.1111/ajps.12382. ISSN 0092-5853. ^ Regan, Patrick M.; Frank, Richard W. (1 November 2014). "Migrant remittances and the onset of civil war". Conflict Management and Peace Science. 31 (5): 502–520. doi:10.1177/0738894213520369. ISSN 0738-8942. ^ Tuccio, Michele; Wahba, Jackline (2018). "Return migration and the transfer of gender norms: Evidence from the Middle East". Journal of Comparative Economics. doi:10.1016/j.jce.2018.07.015. ISSN 0147-5967. ^ Dustmann, Christian; Frattini, Tommaso; Rosso, Anna (1 April 2015). "The Effect of Emigration from Poland on Polish Wages". The Scandinavian Journal of Economics (Submitted manuscript). 117 (2): 522–564. doi:10.1111/sjoe.12102. ISSN 1467-9442. ^ Elsner, Benjamin (1 September 2013). "Emigration and wages: The EU enlargement experiment". Journal of International Economics. 91 (1): 154–163. doi:10.1016/j.jinteco.2013.06.002. hdl:10419/48716. ^ Elsner, Benjamin (10 November 2012). "Does emigration benefit the stayers? Evidence from EU enlargement". Journal of Population Economics. 26 (2): 531–553. doi:10.1007/s00148-012-0452-6. hdl:10419/67322. ISSN 0933-1433. ^ Bensassi, Sami; Jabbour, Liza (15 July 2015). "The effects of return migration on Egyptian household revenues" (PDF). Retrieved 11 May 2016. Appel, Jacob. The Ethical Case for an Open Immigration Policy 4 May 2009. Balin, Bryan J. (2008). "State Immigration Legislation and Immigrant Flows: An Analysis" (PDF). Johns Hopkins University. Retrieved 15 October 2018. Bauder, Harald. Labor Movement: How Migration Regulates Labor Markets, New York: Oxford University Press, 2006. Borjas, George J. (2014). Immigration Economics. Cambridge, MA: Harvard University Press. ISBN 978-0-674-04977-2. Borjas, George. "Increasing the Supply of Labor Through Immigration". Center for Immigration Studies, May 2004. Burtless, Gary (1 December 2009). "Impact of Immigration on the Distribution of American Well-Being" (PDF). Brookings Institution. SSRN 1553271. Retrieved 15 October 2018. De La Torre, Miguel A., Trails of Hope and Terror: Testimonies on Immigration. Maryknoll, NY: Orbis Press, 2009. Esbenshade, Jill. Division and Dislocation: Regulating Immigration through Local Housing Ordinances. Immigration Policy Center, American Immigration Law Foundation, Summer 2007. Ewing, Walter A. Border Insecurity: U.S. Border-Enforcement Policies and National Security, Immigration Policy Center, American Immigration Law Foundation, Spring 2006. Fell, Peter and Hayes, Debra. What are they Doing Here? A Critical Guide to Asylum and Immigration, Birmimgham, Venture Press, 2007. Fitzgerald, David Scott; Cook-Martin, David (2014). Culling the Masses: The Democratic Origins of Racist Immigration Policy in the Americas. Cambridge, MA: Harvard University Press. ISBN 978-0674-72904-9. Immigration Policy Center. Economic Growth & Immigration: Bridging the Demographic Divide. Immigration Policy Center, American Immigration Law Foundation, November 2005. "Immigration: The Demographic and Economic Facts". Cato Institute. 1995. Archived from the original on 1 July 2010. Karakayali, Nedim (2005). "Duality and Diversity in the Lives of Immigrant Children: Rethinking the 'Problem of Second Generation' in Light of Immigrant Autobiographies". Canadian Review of Sociology and Anthropology. 42 (3): 325–344. Kolb, Eva (2009). The Evolution of New York City's Multiculturalism: Melting Pot or Salad Bowl : Immigrants in New York from the 19th Century until the End of the Gilded Age (1. Aufl ed.). Books on Demand. ISBN 978-3-8370-9303-2. Legrain, Philippe (2007). Immigrants : your country needs them (First Princetonition ed.). Little Brown. ISBN 978-0-316-73248-2. Massey, Douglas S. Beyond the Border Buildup: Towards a New Approach to Mexico-U.S. Migration. Immigration Policy Center, American Immigration Law Foundation, September 2005. Massey, Douglas S.; Arango, Joaquín; Graeme, Hugo; Kouaouci, Ali; Adela, Pellegrino; Taylor, J. Edward (2005). Worlds in Motion: Understanding International Migration at the End of the Millennium. New York: Oxford University Press. ISBN 978-0-19-928276-0. Meilander, Peter C. (2001). Toward a theory of immigration (1st ed.). Palgrave Macmillan. ISBN 978-0-312-24034-9. Molina, Natalia. Fit to Be Citizens? : Public Health and Race in Los Angeles, 1879–1940. University of California Press, 2006. Myers, Dowell (2007-02-22). Immigrants and Boomers: Forging a New Social Contract for the Future of America. Russell Sage Foundation. ISBN 978-0-87154-636-4. Passel, Jeffrey S. Estimates of the Size and Characteristics of the Undocumented Population. Pew Hispanic Center, March 2005. Passel, Jeffrey S. Growing Share of Immigrants Choosing Naturalization. Pew Hispanic Center, March 2007. Passel, Jeffrey S. and Roberto Suro. Rise, Peak and Decline: Trends in U.S. Immigration. Pew Hispanic Center, September 2005. Pearce, Susan C. Immigrant Women in the United States: A Demographic Portrait. Immigration Policy Center, American Immigration Law Foundation, Summer 2006. Portes, Alejandro; Böröcz, József (1989). "Contemporary Immigration: Theoretical Perspectives on Its Determinants and Modes of Incorporation" (PDF). The International Migration Review. 23 (3 (Special Silver Anniversary Issue: International Migration an Assessment for the 90's )): 606–630. doi:10.2307/2546431. JSTOR 2546431. Retrieved 15 October 2018. Rumbaut, Ruben and Walter Ewing. "The Myth of Immigrant Criminality and the Paradox of Assimilation: Incarceration Rates among Native and Foreign-Born Men." The Immigration Policy Center, Spring 2007. Sintès Pierre, La raison du mouvement : territoires et réseaux de migrants albanais en Grèce, Karthala, Maison Méditerranéenne des sciences de l'homme, Ecole française d'Athènes, Paris - Aix-en-Provence - Athens, 2010. Sirkeci, Ibrahim (2006). The Environment of Insecurity in Turkey and the Emigration of Turkish Kurds to Germany. New York: Edwin Mellen Press. ISBN 9780773457393. Retrieved 15 October 2018. Valle, Isabel (January 1994). Fields of Toil: A Migrant Family's Journey. Washington State University Press. ISBN 978-0-87422-101-5. West, Lorane A. (2004). Color: Latino Voices in the Pacific Northwest. Washington State University Press. ISBN 978-0-87422-274-6. Zolberg, Aristide R. (2006). A Nation by Design: Immigration Policy in the Fashioning of America. Harvard University Press. ISBN 978-0-674-02218-8. Look up immigration in Wiktionary, the free dictionary. Wikisource has the text of an 1879 American Cyclopædia article about Immigration. Immigration to the United States is the international movement of non-U.S. nationals in order to reside permanently in the country. Immigration has been a major source of population growth and cultural change throughout much of the U.S. history. Because the United States is a settler colonial society, all Americans, with the exception of the small percent of Native Americans, can trace their ancestry to immigrants from other nations around the world. Human capital flight refers to the emigration of individuals who have received advanced training at home. The net benefits of human capital flight for the receiving country are sometimes referred to as a "brain gain" whereas the net costs for the sending country are sometimes referred to as a "brain drain". In occupations that experience a surplus of graduates, immigration of foreign-trained professionals can aggravate the underemployment of domestic graduates. The percentage of foreign populations in Greece is as high as 7.1% in proportion to the total population of the country. Moreover, between 9 and 11% of the registered Greek labor force of 4.4 million are foreigners. Migrants additionally make up 25% of wage and salary earners. Migrants are so plentiful that in a society with negative natural population growth, immigration has become the sole source of population increase overall. Immigration to Sweden is the process by which people migrate to Sweden to reside in the country. Many, but not all, become Swedish citizens. The economic, social, and political aspects of immigration have caused some controversy regarding ethnicity, economic benefits, jobs for non-immigrants, settlement patterns, impact on upward social mobility, crime, and voting behaviour. The immigrant paradox is that recent immigrants often outperform more established immigrants and non-immigrants on a number of health-, education-, and conduct- or crime-related outcomes, despite the numerous barriers they face to successful social integration.